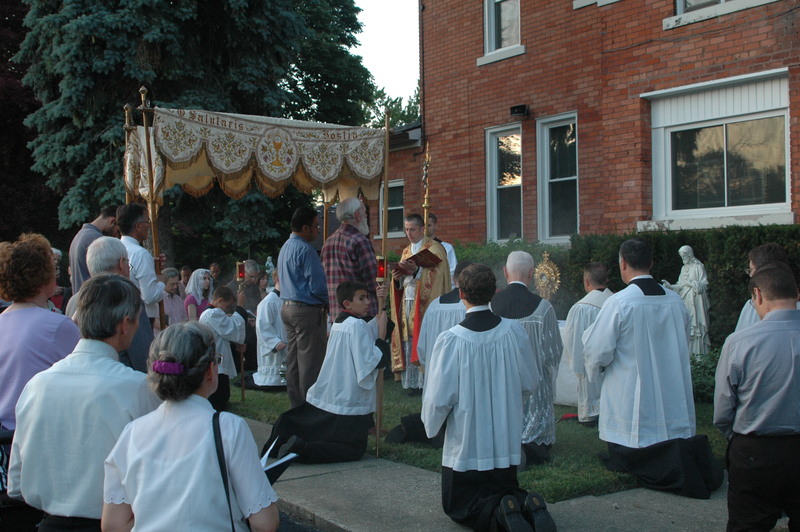 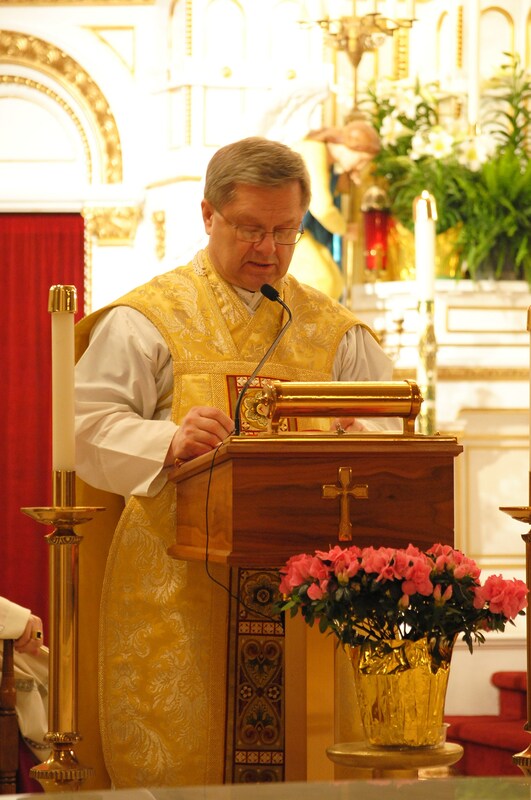 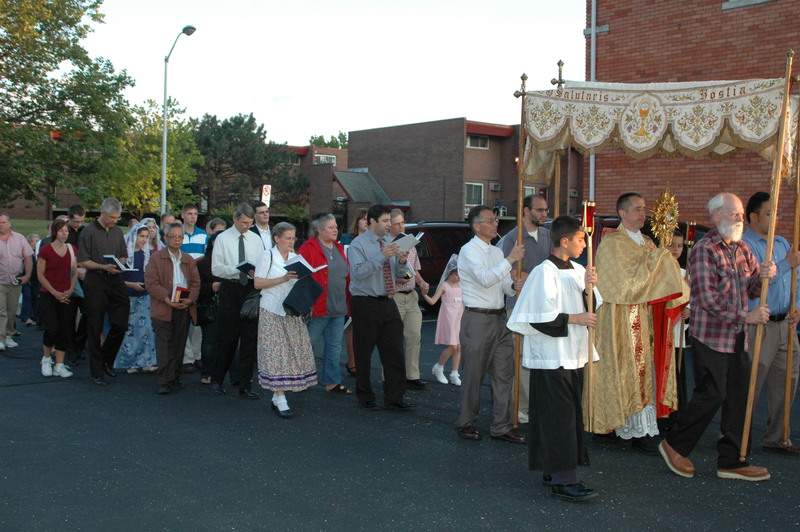 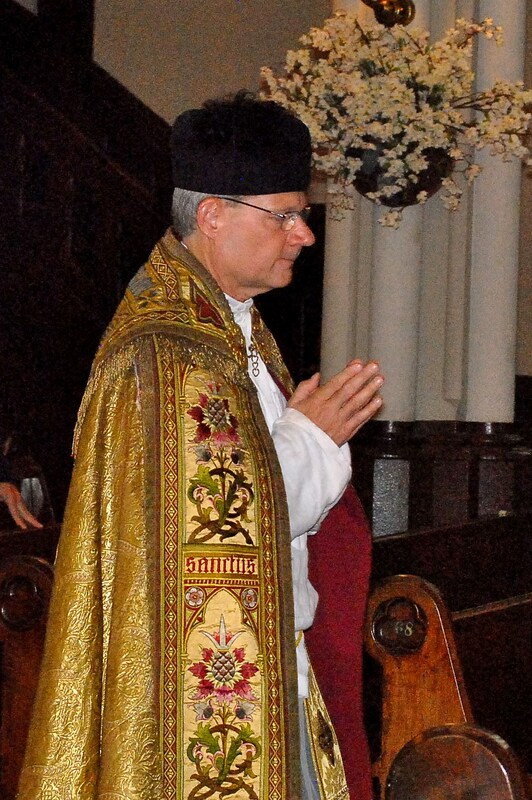 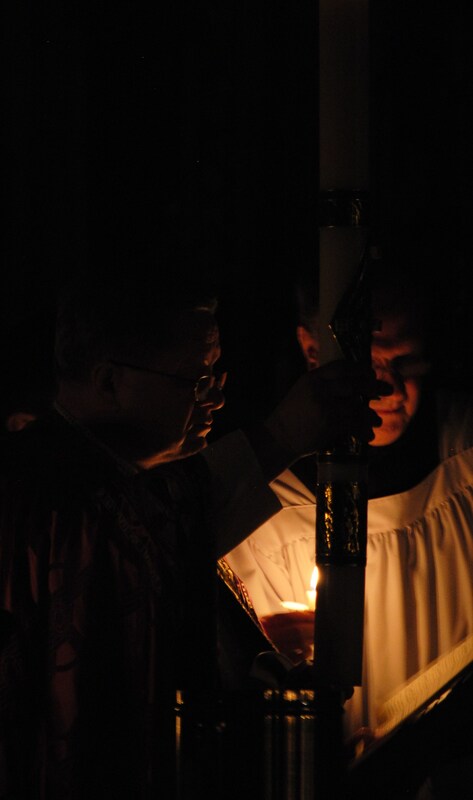 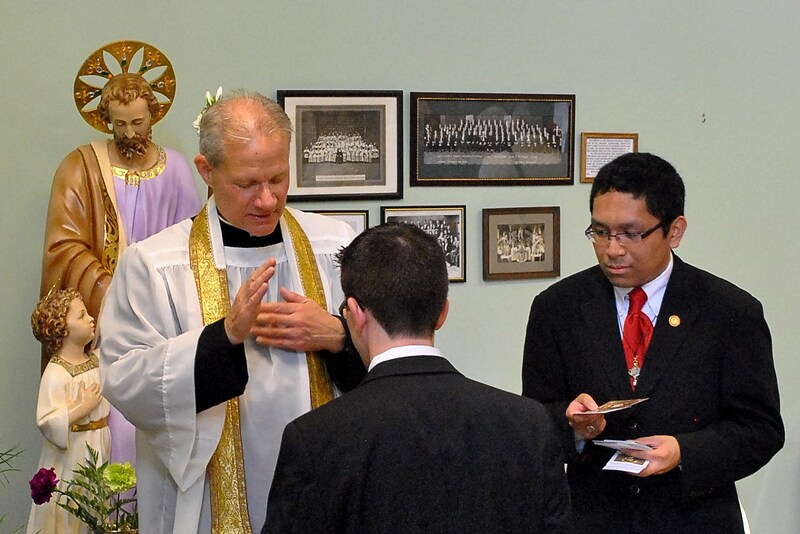 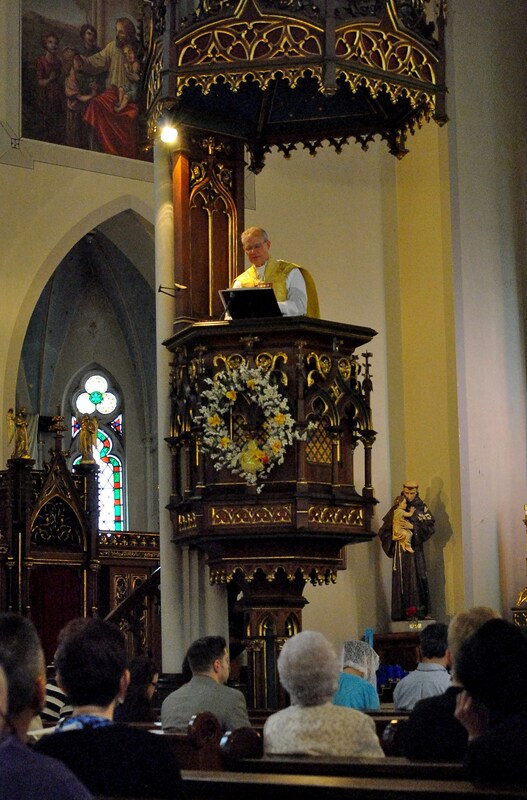 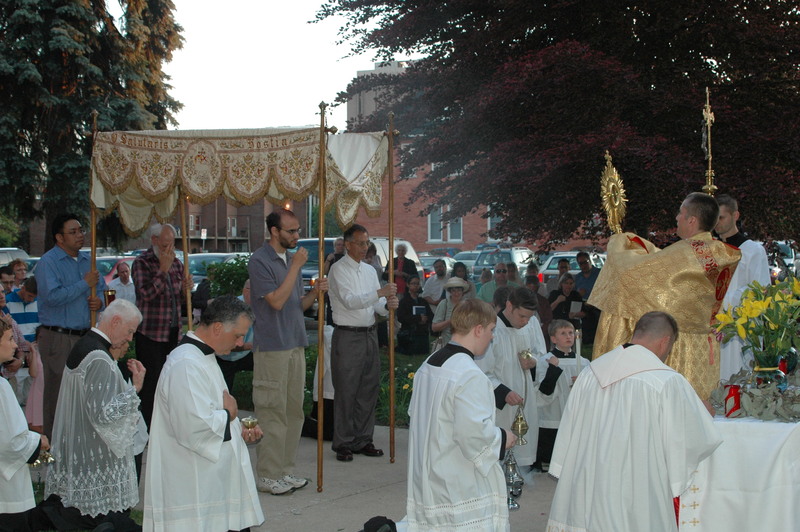 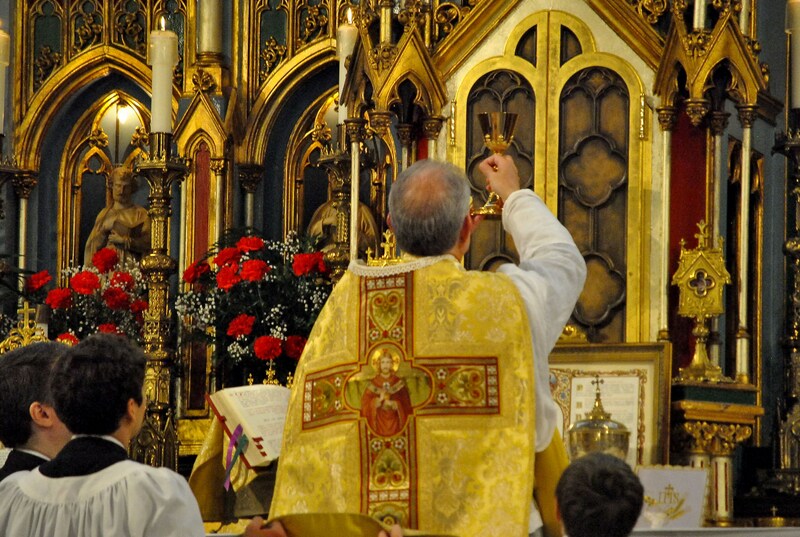 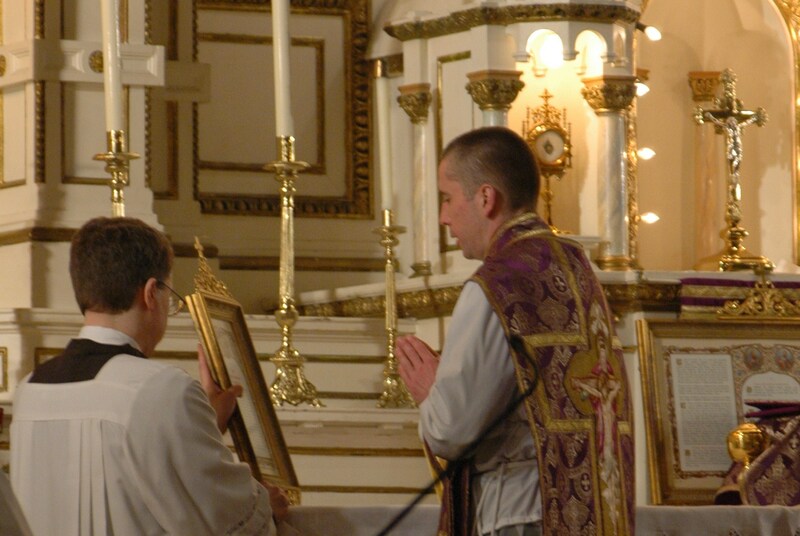 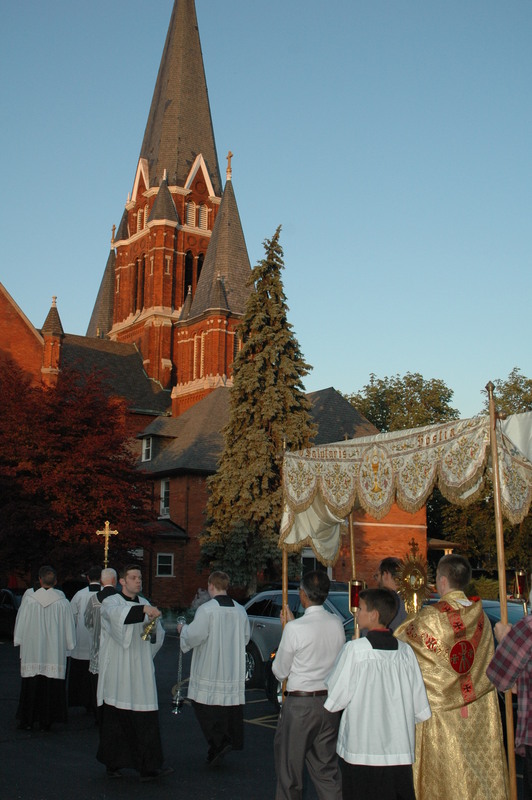 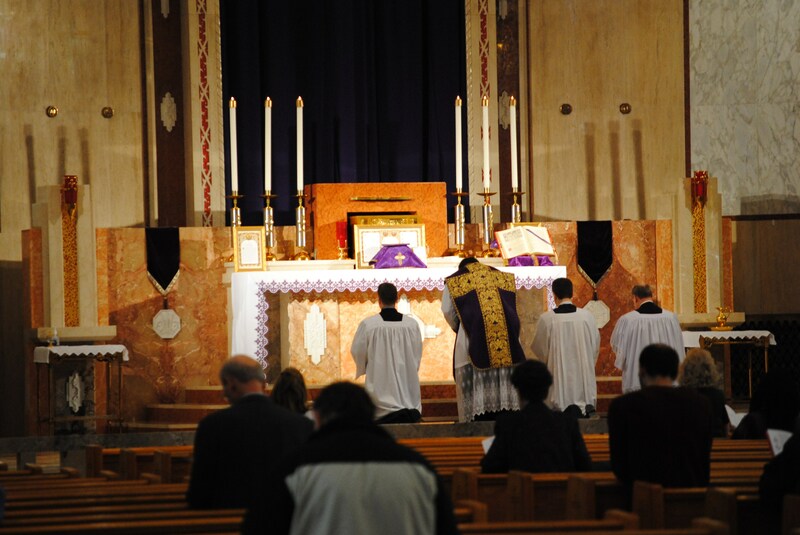 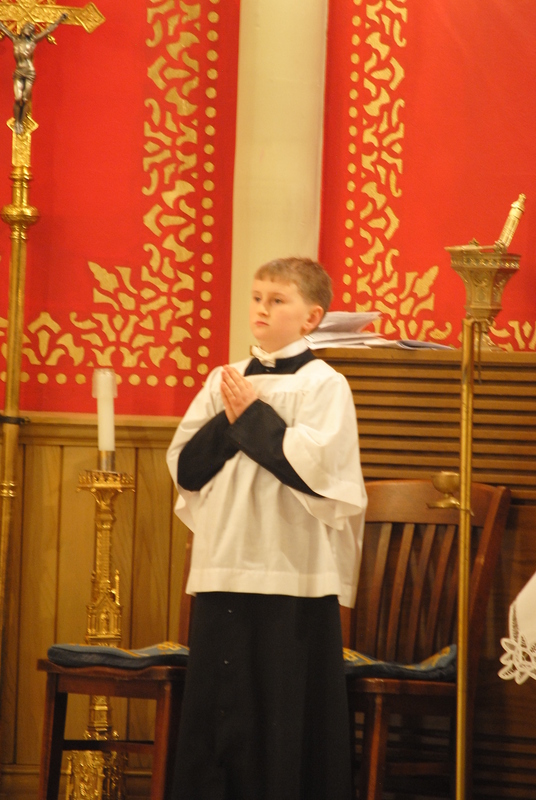 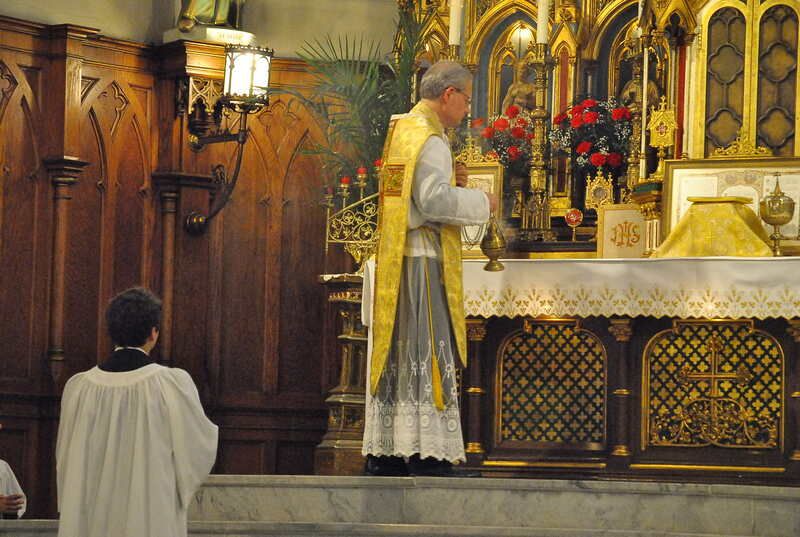 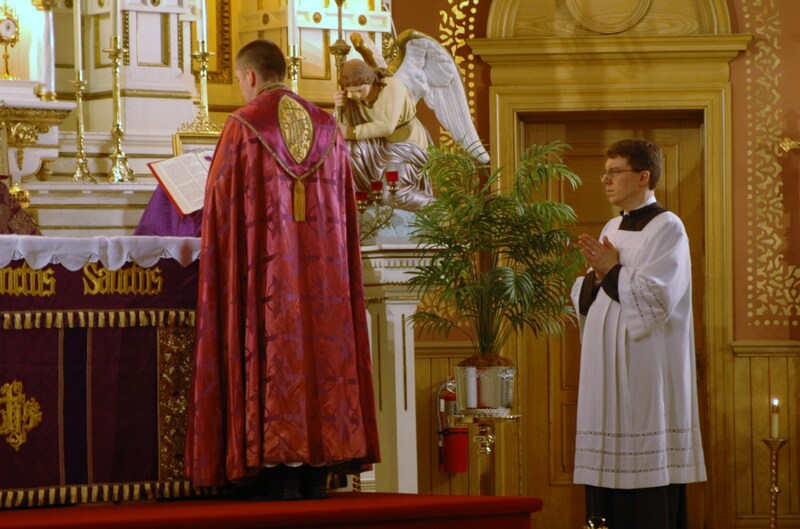 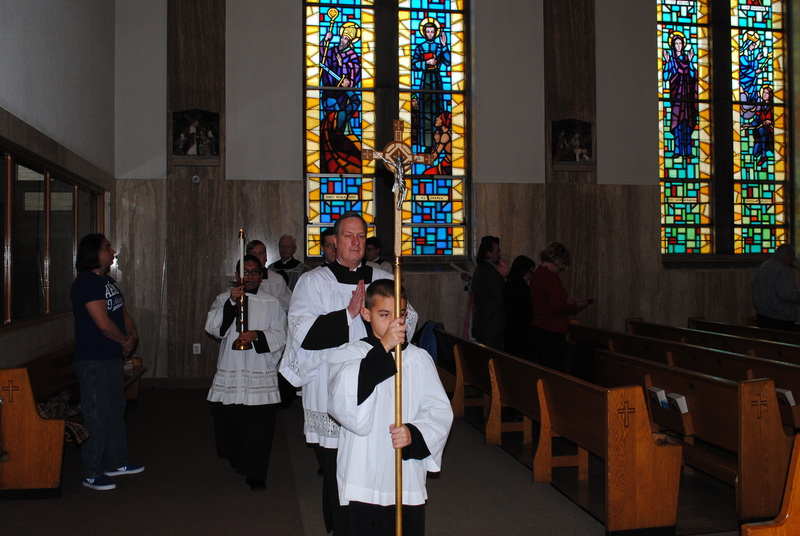 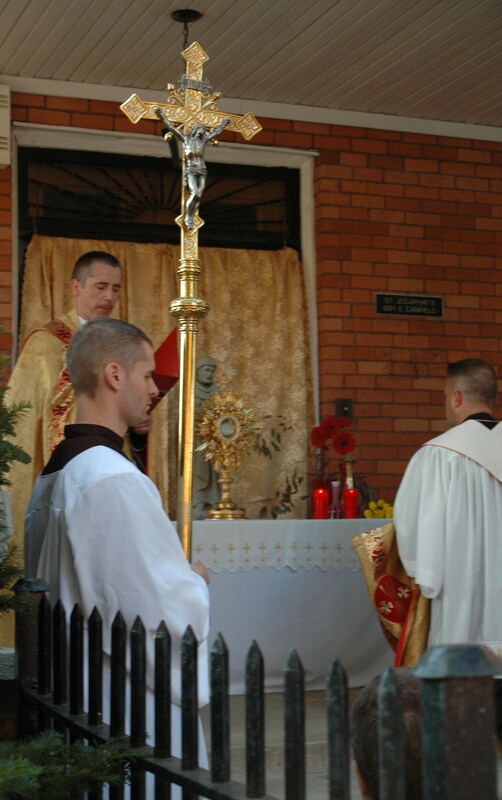 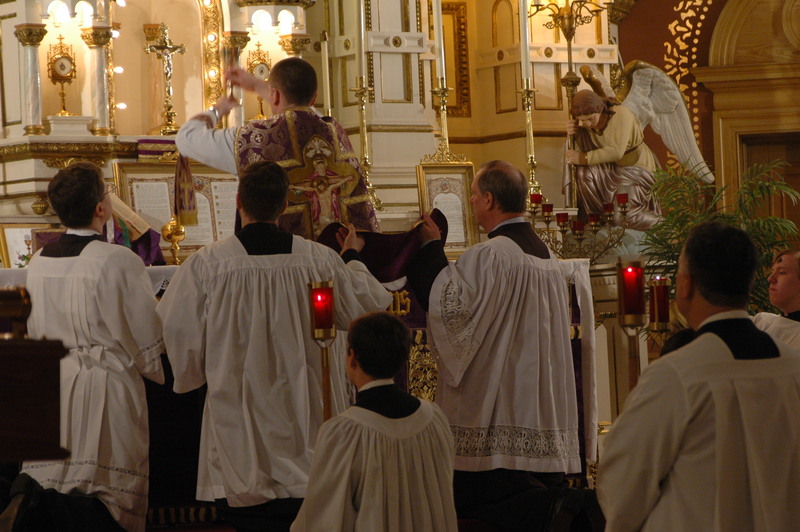 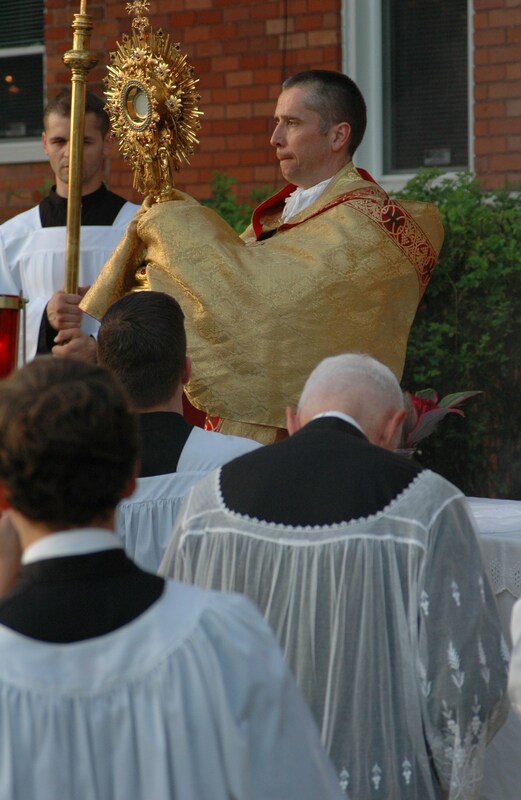 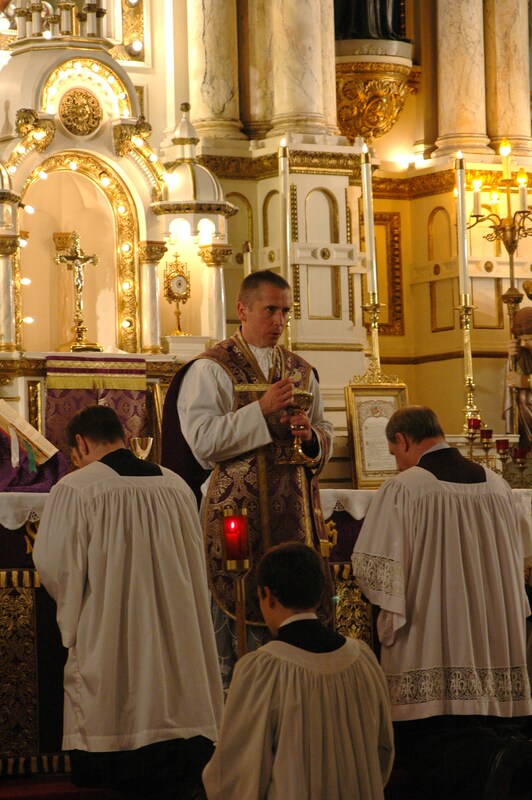 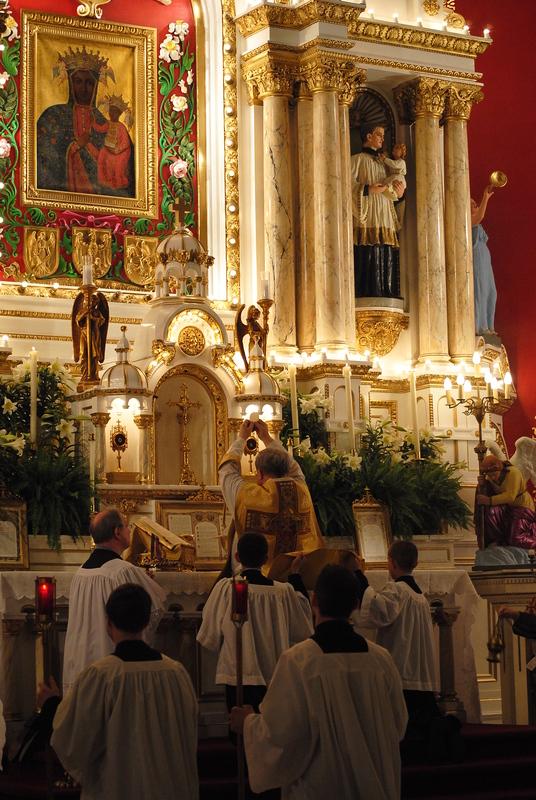 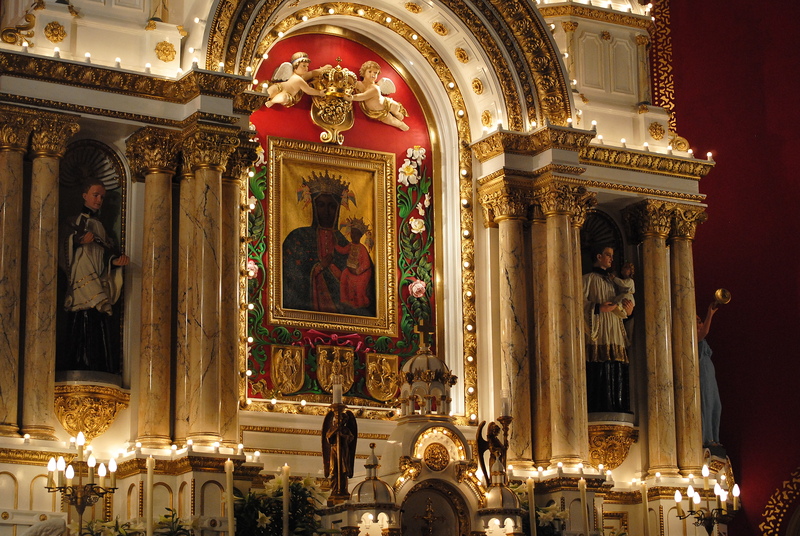 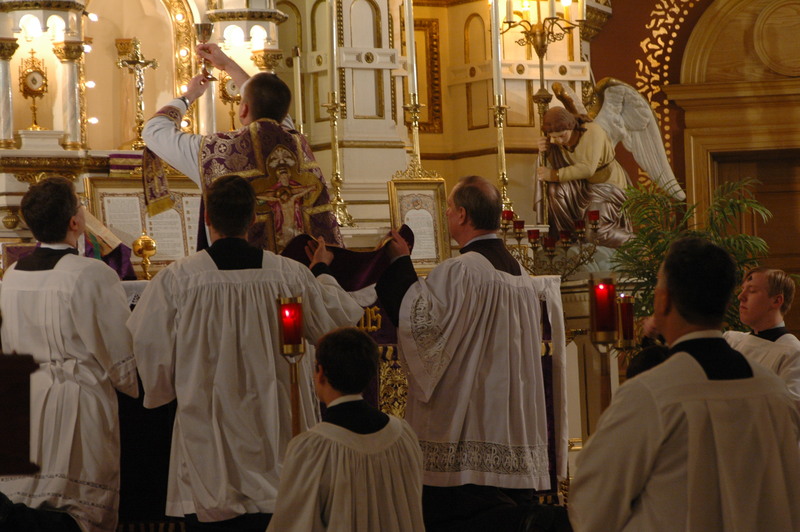 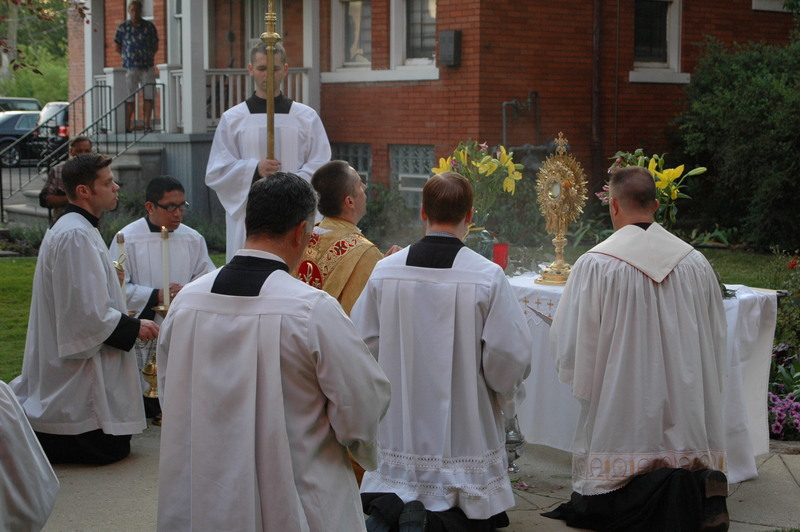 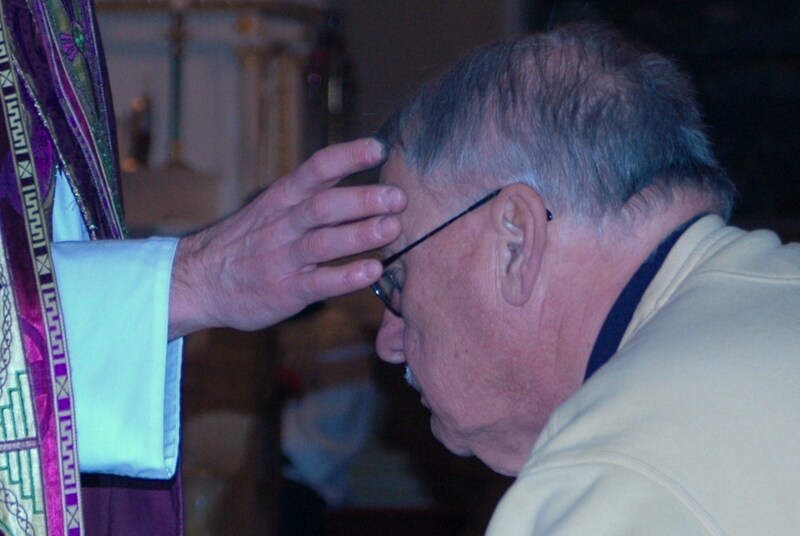 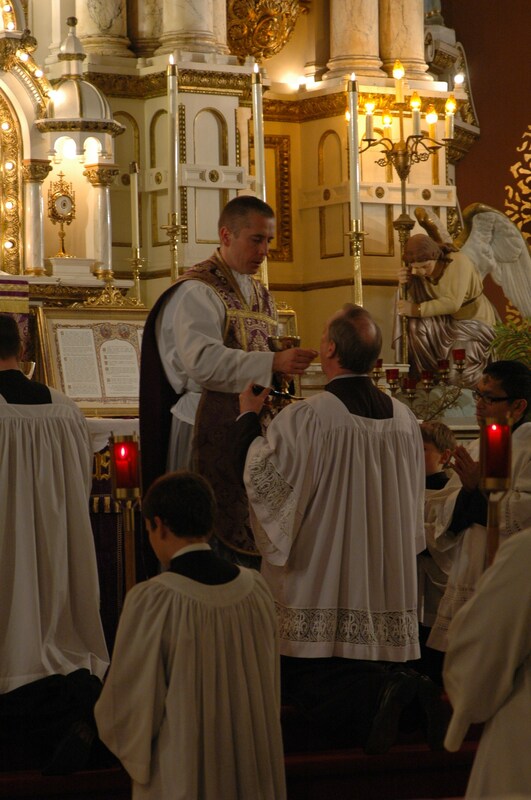 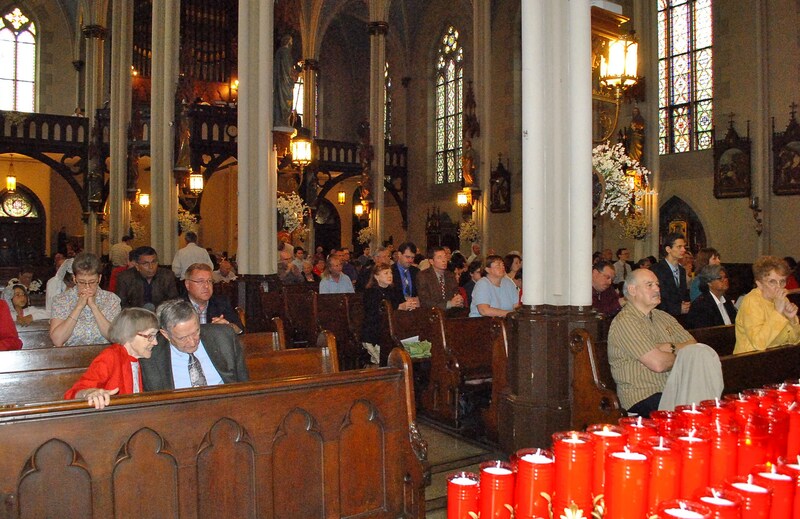 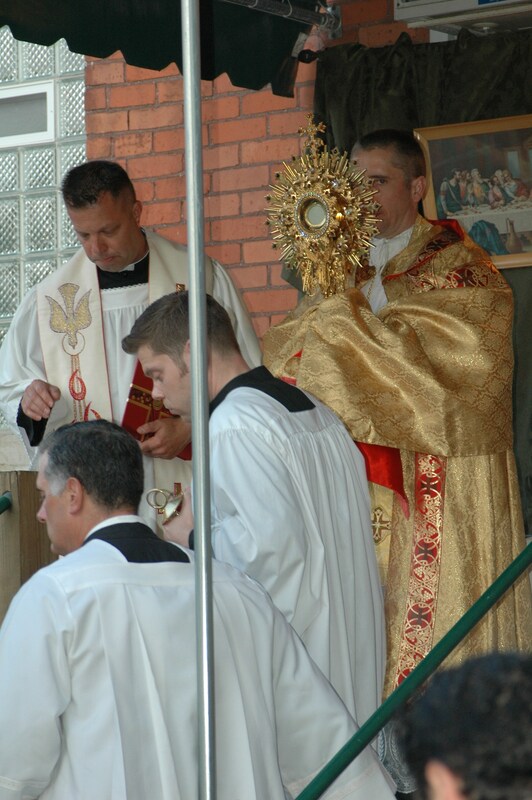 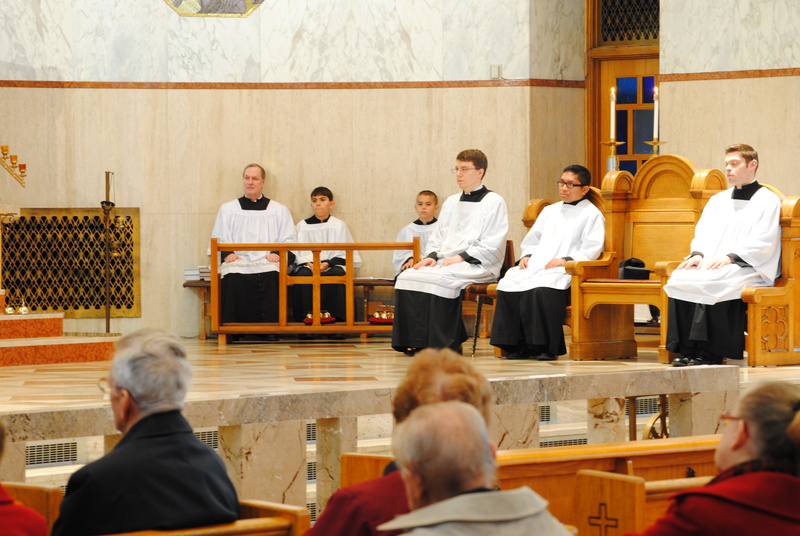 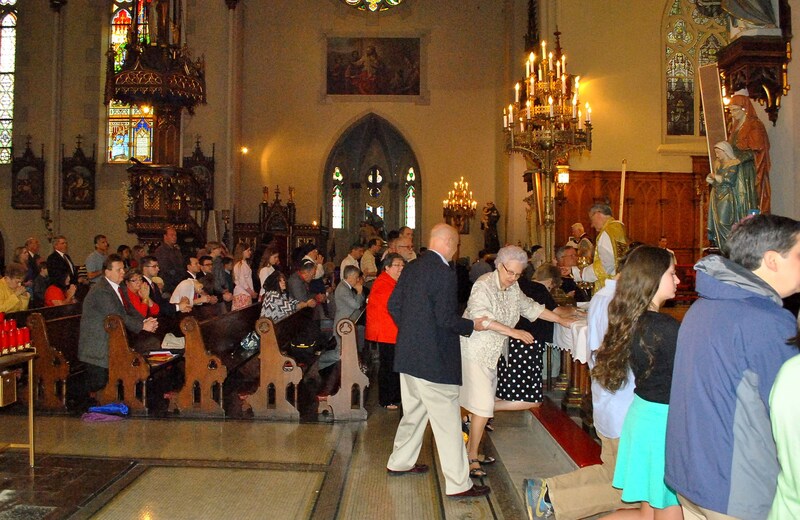 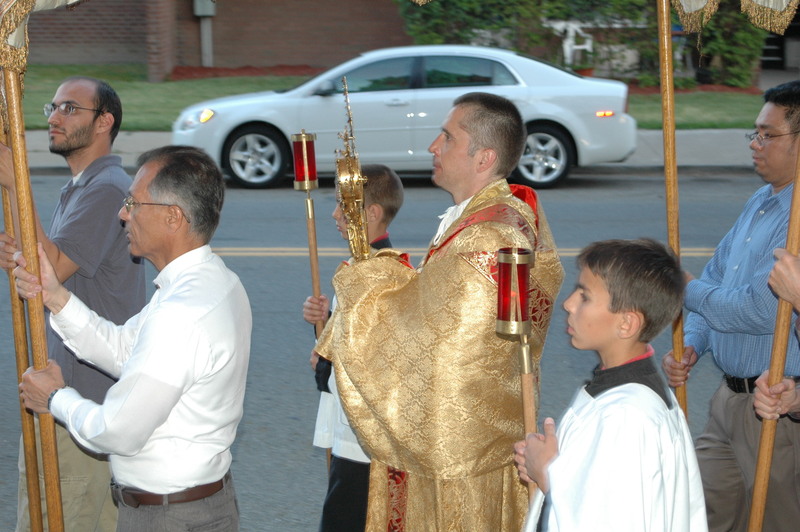 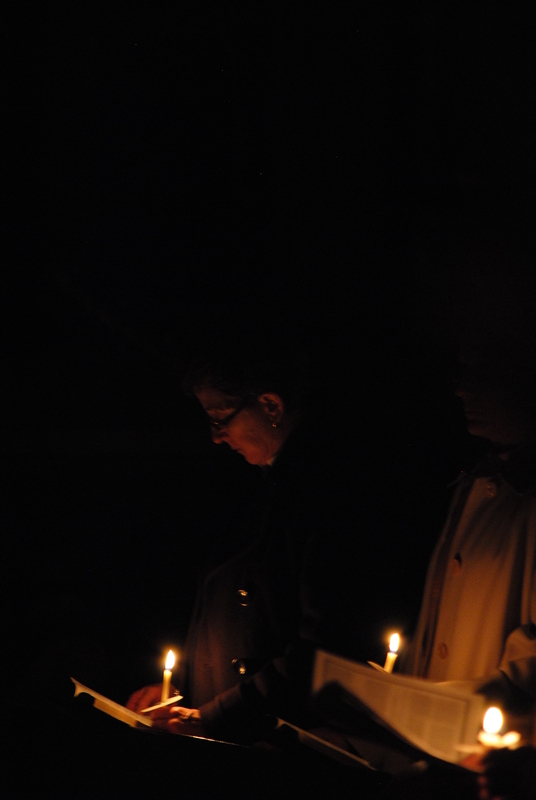 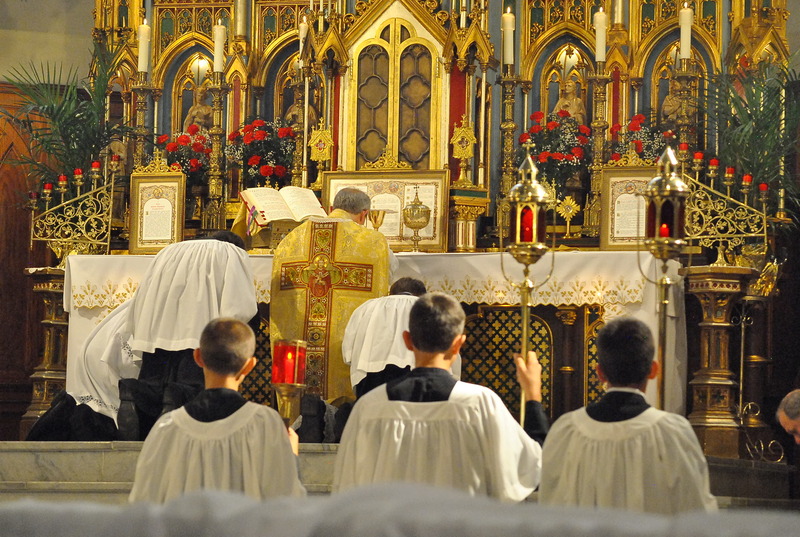 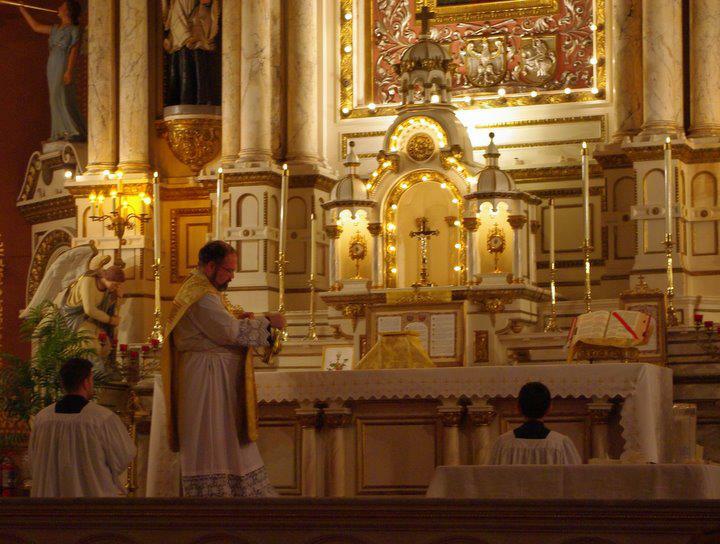 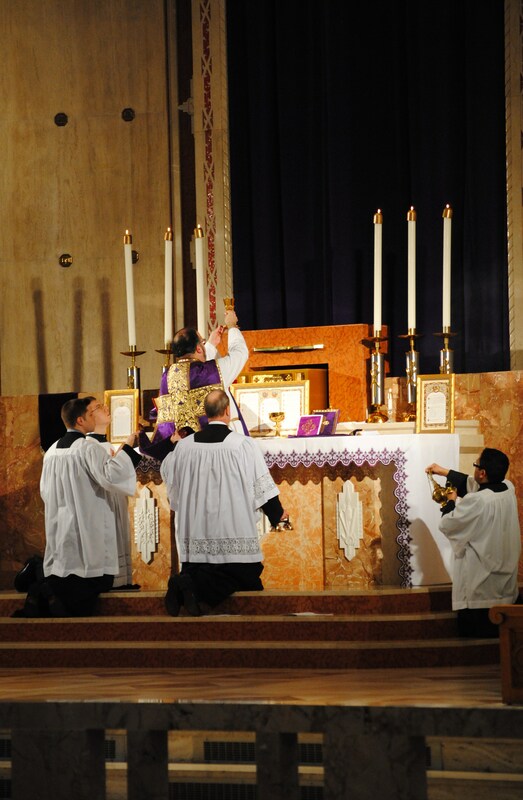 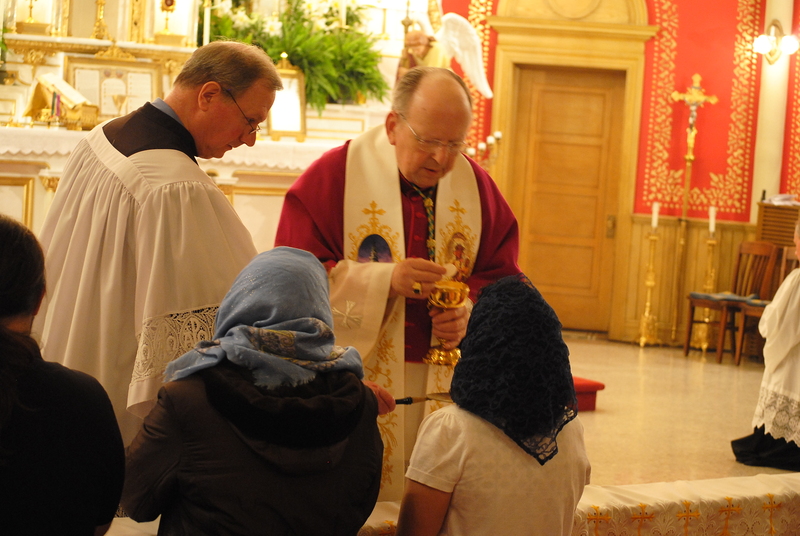 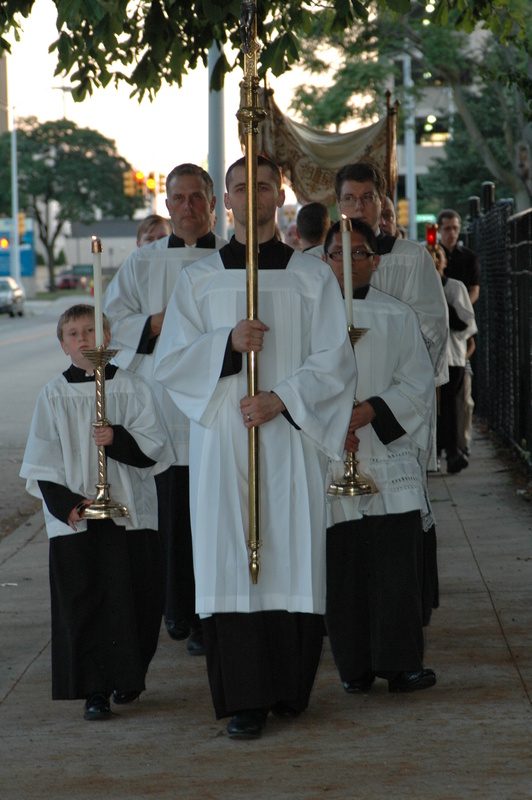 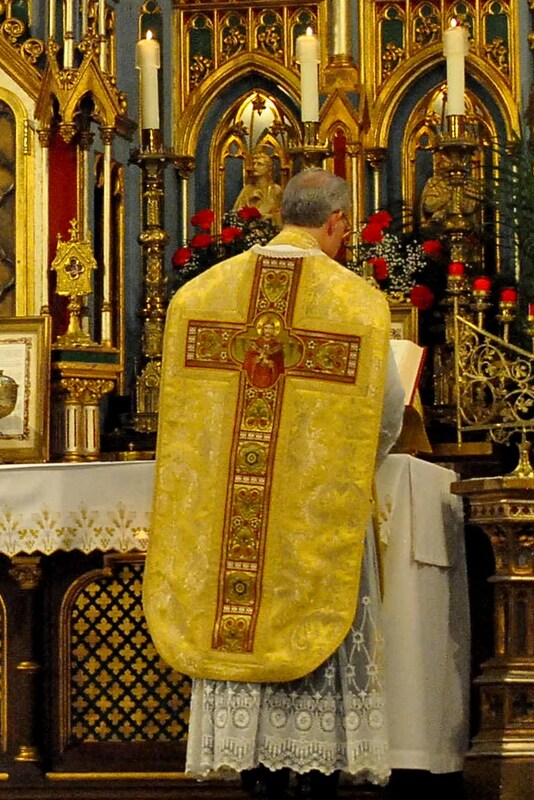 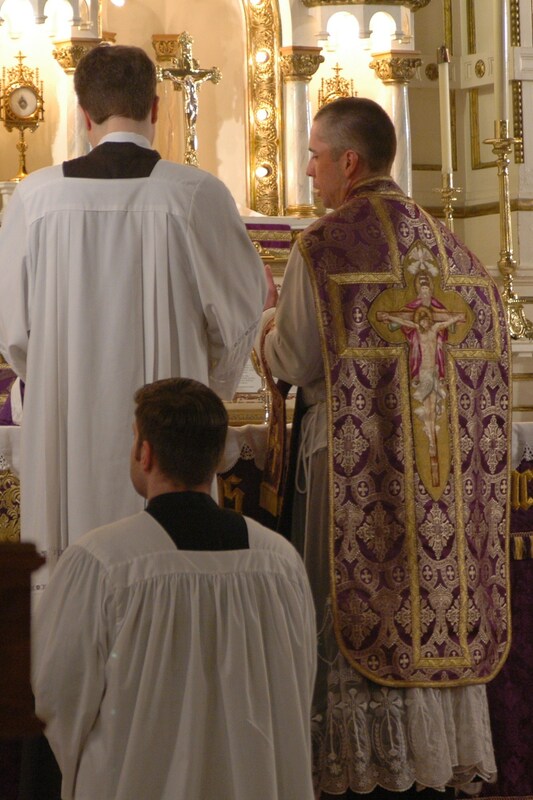 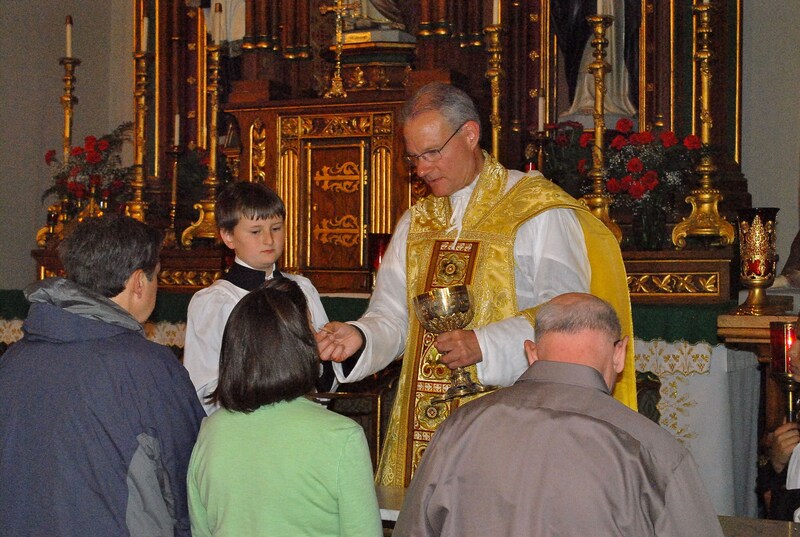 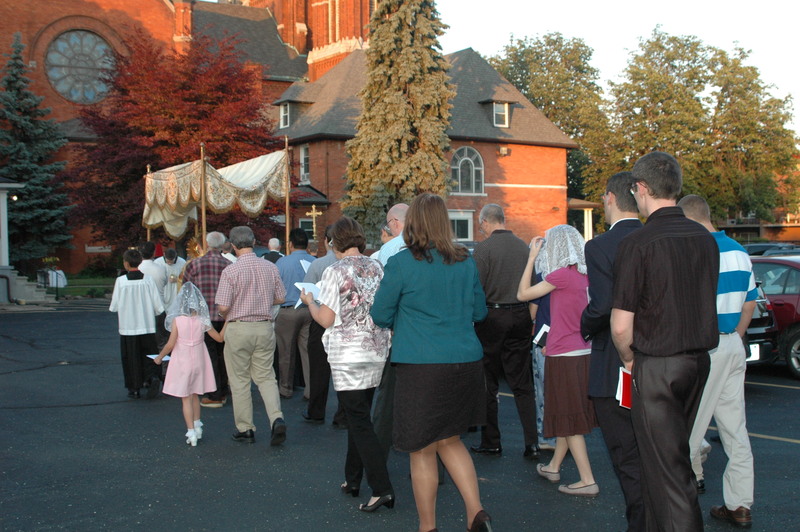 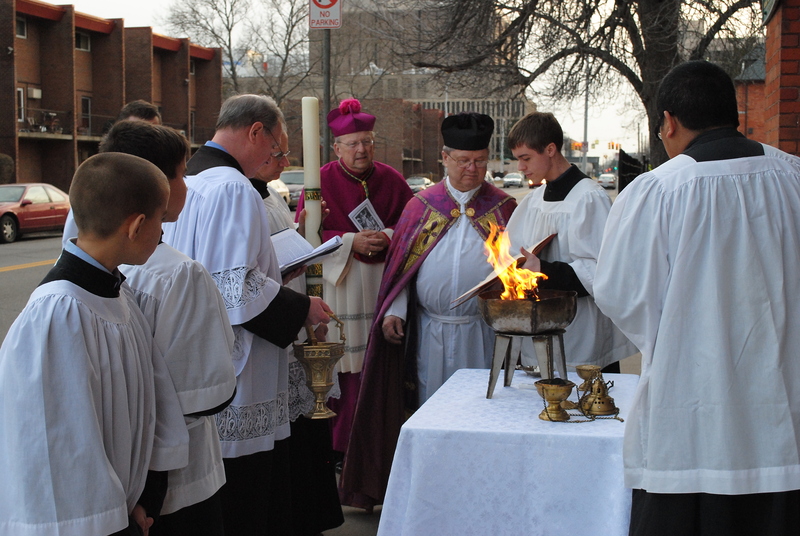 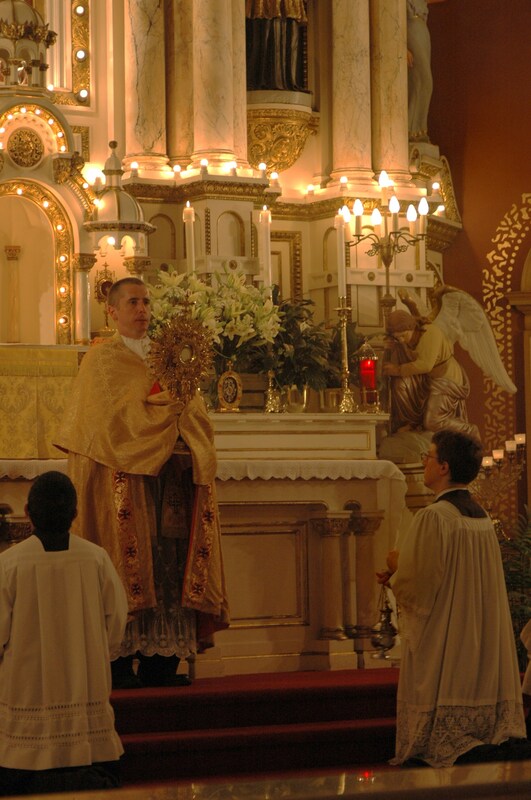 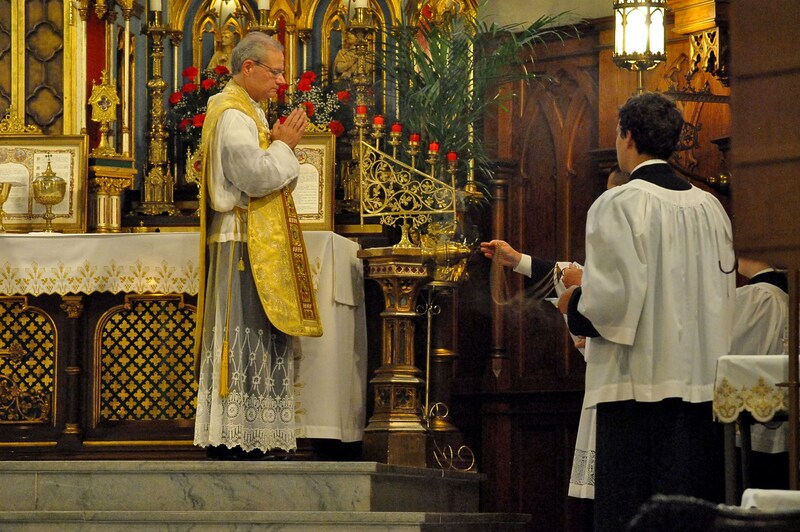 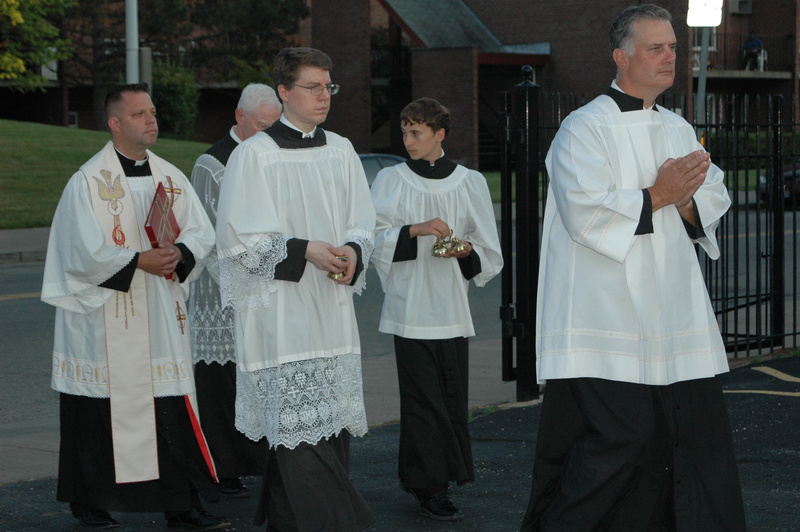 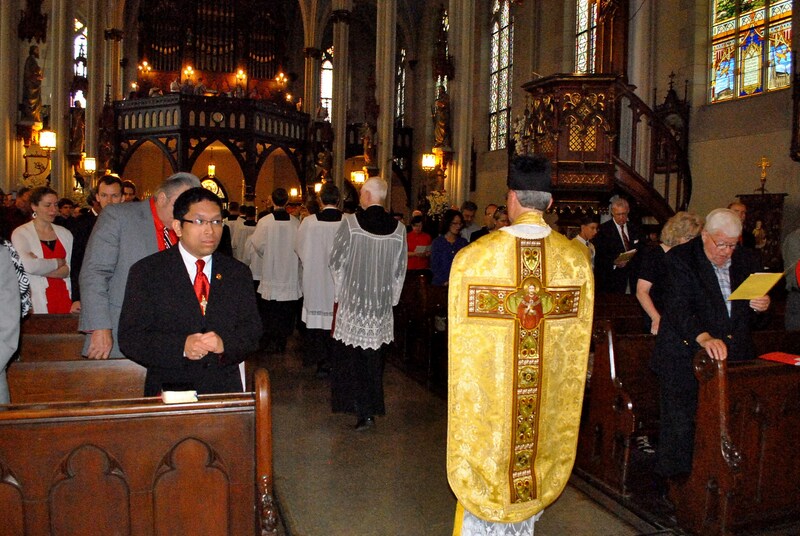 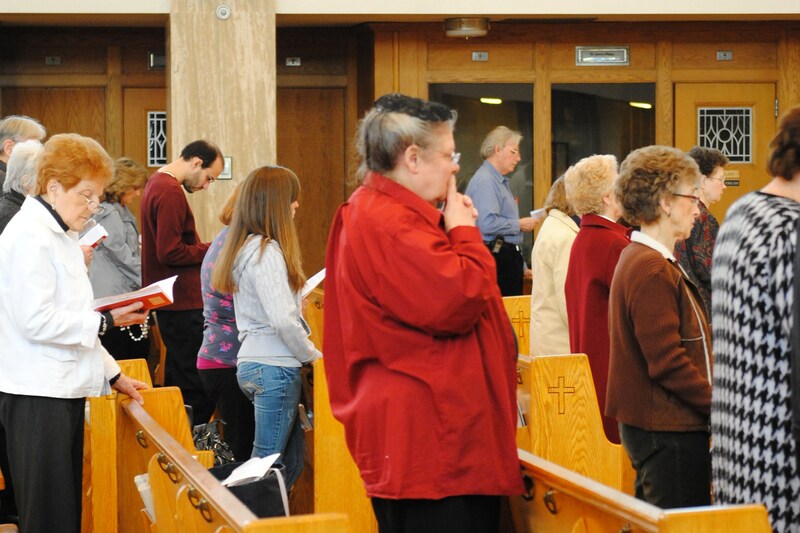 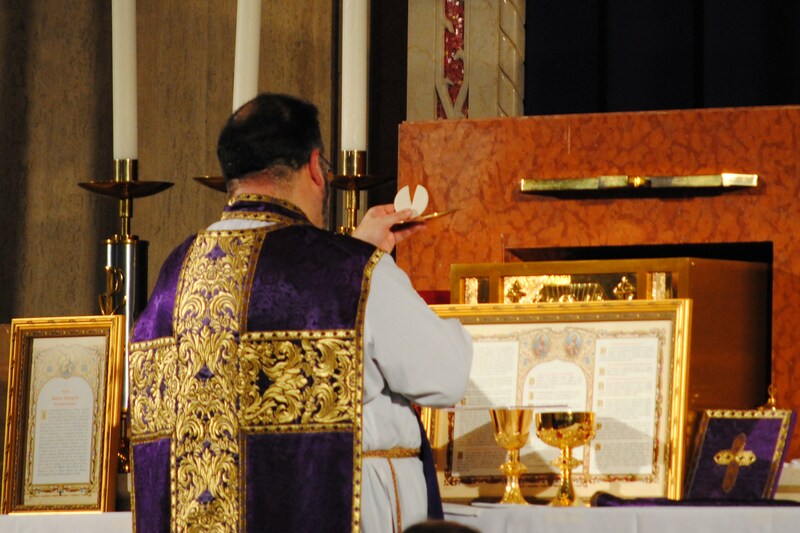 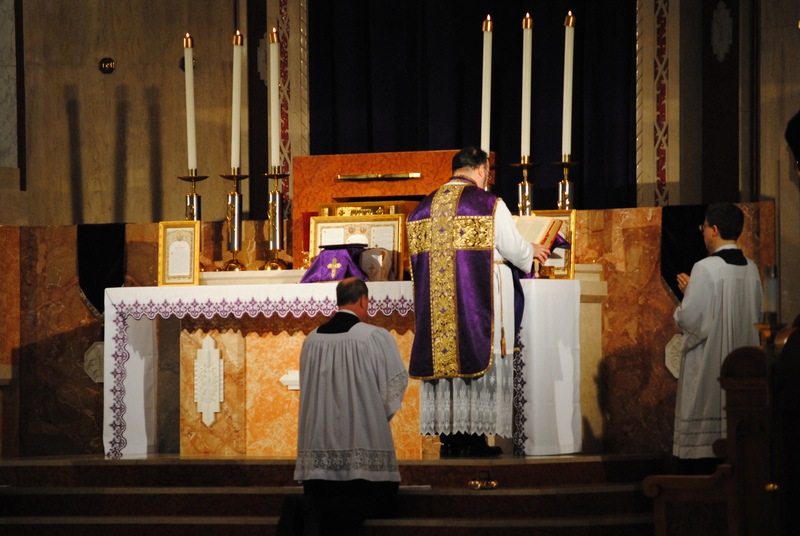 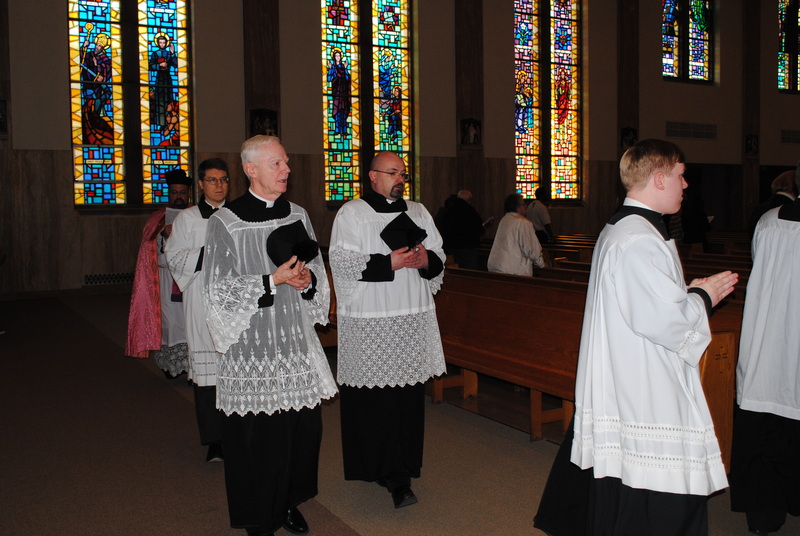 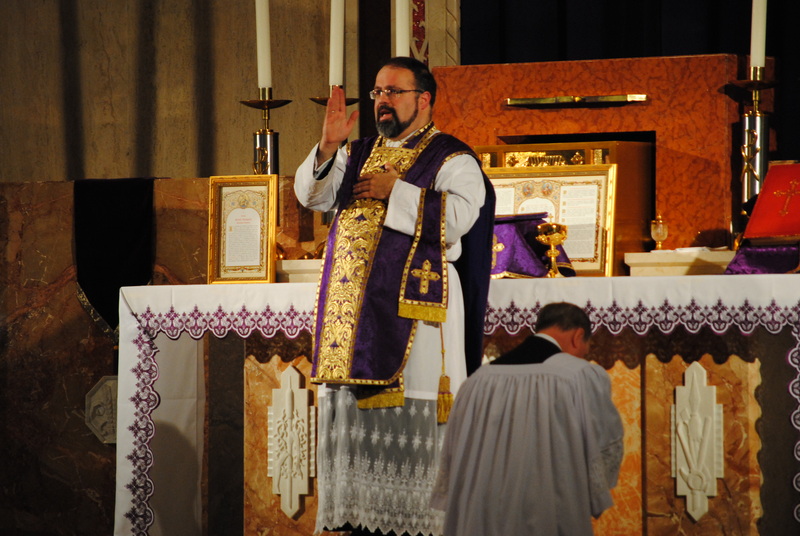 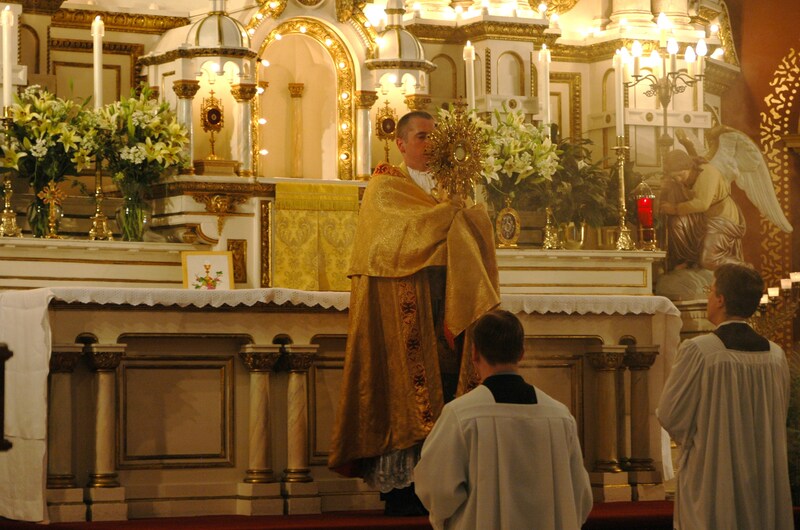 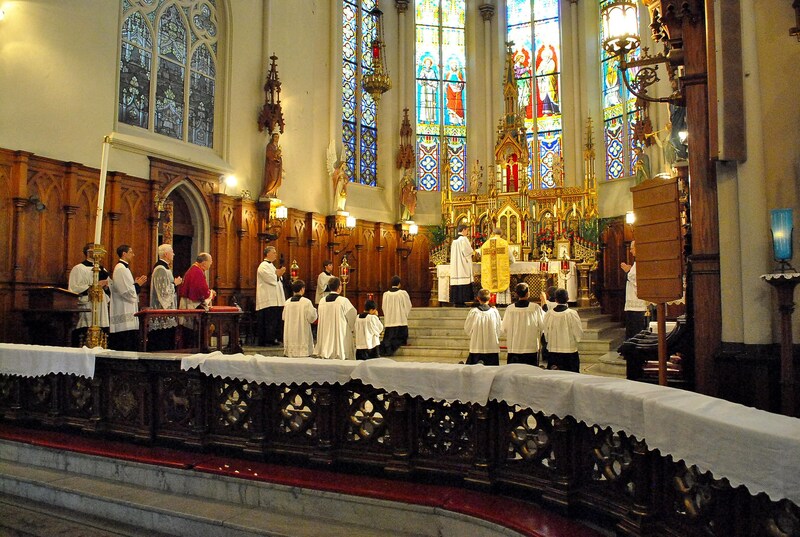 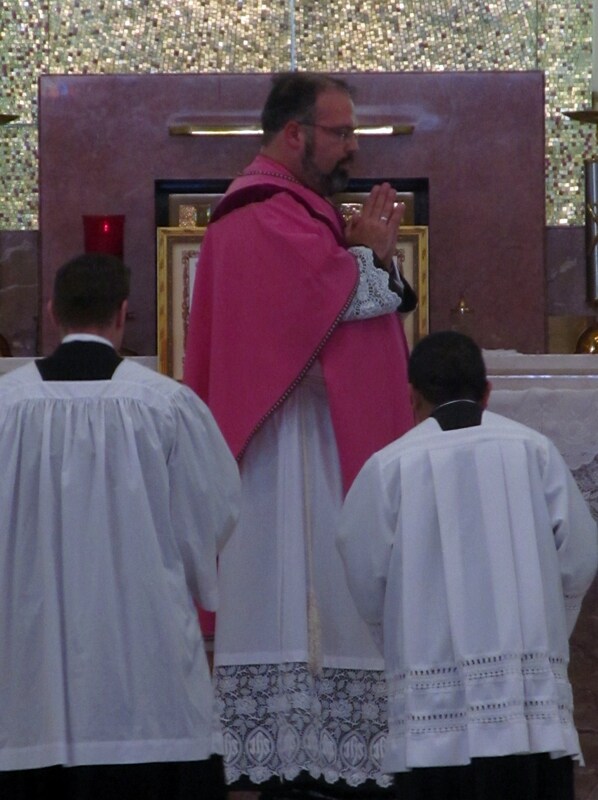 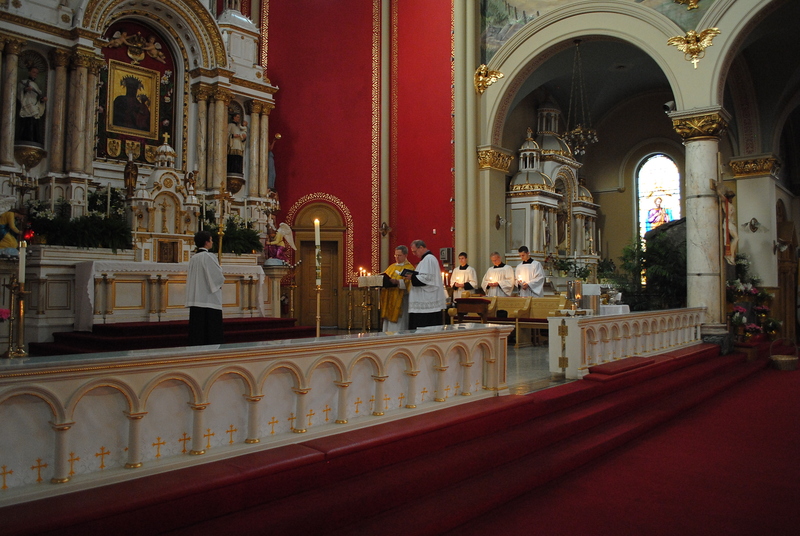 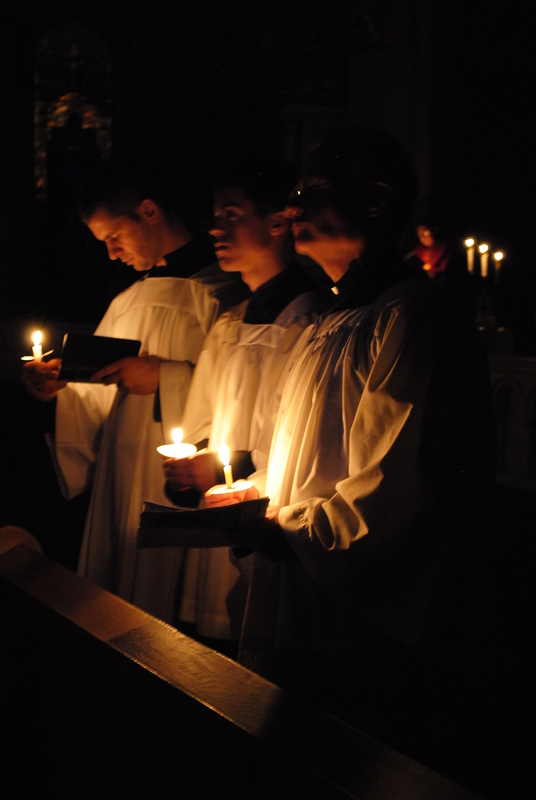 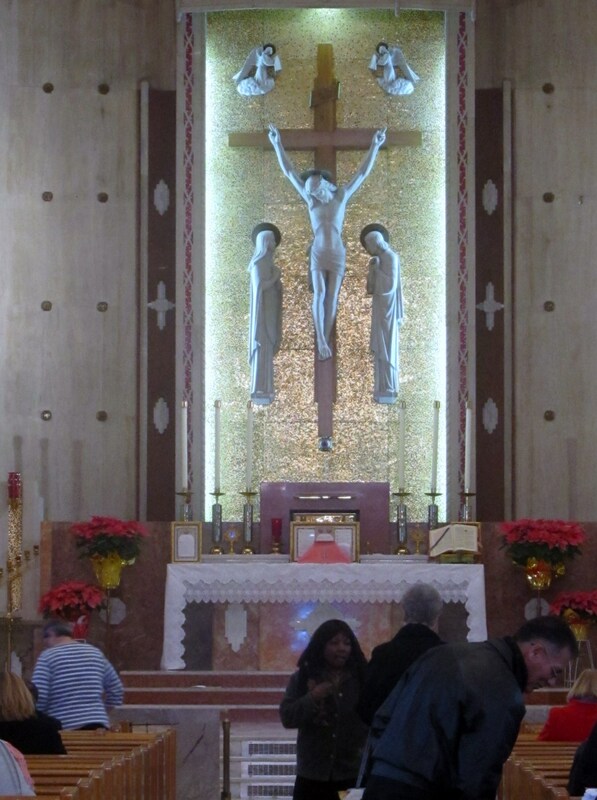 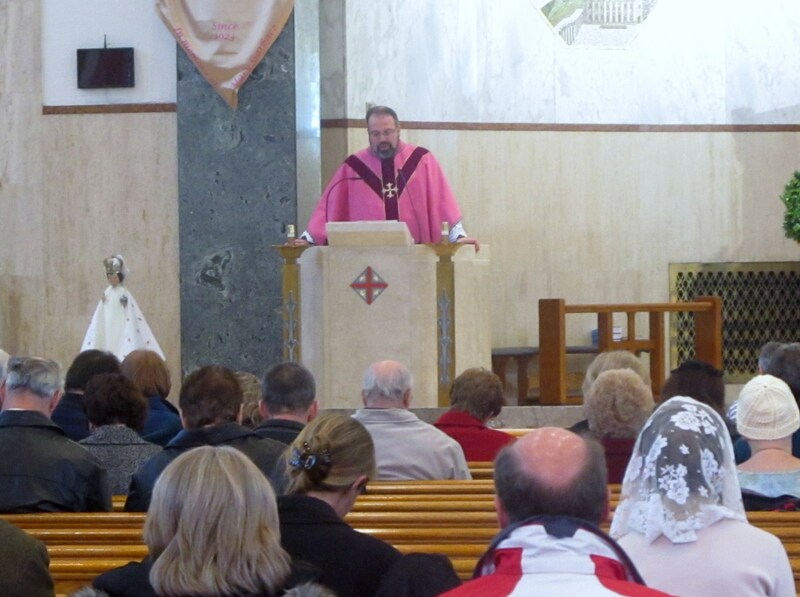 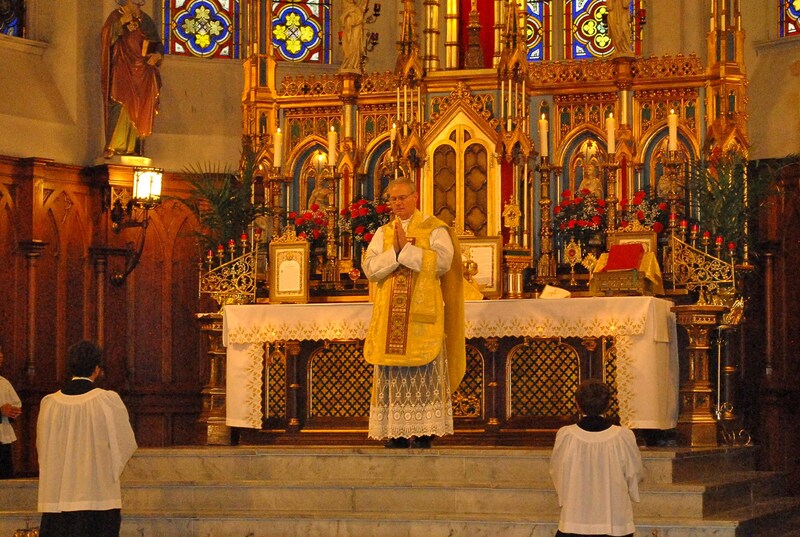 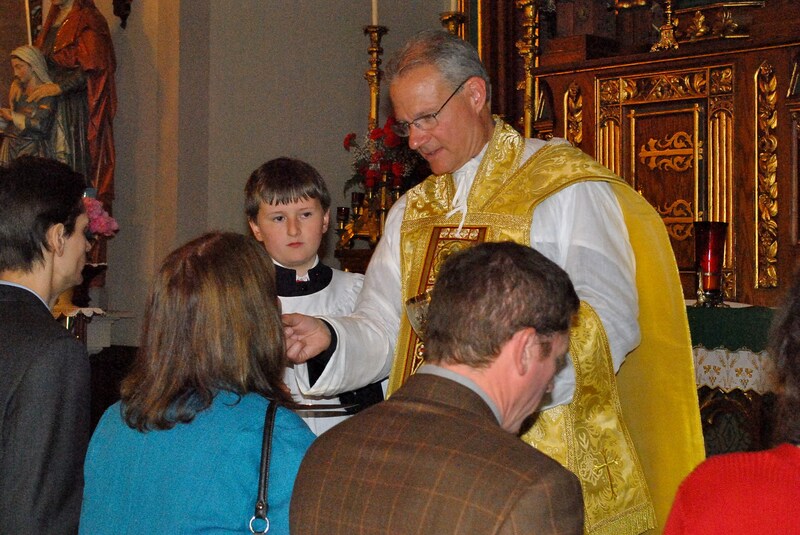 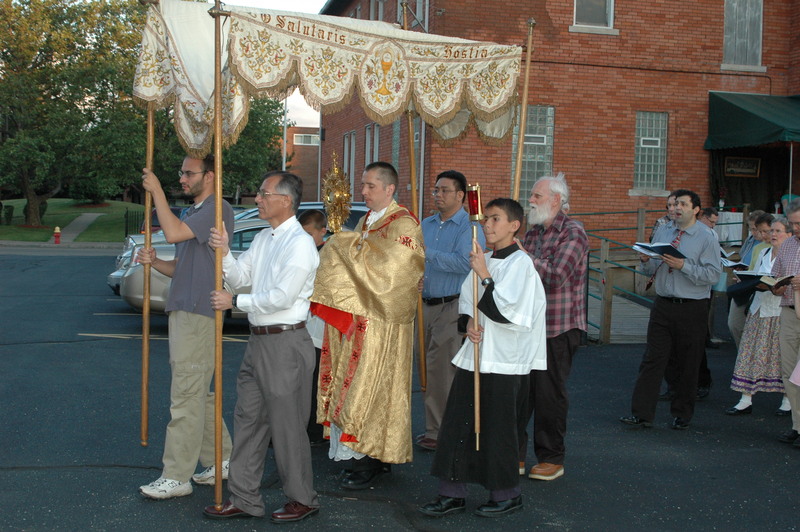 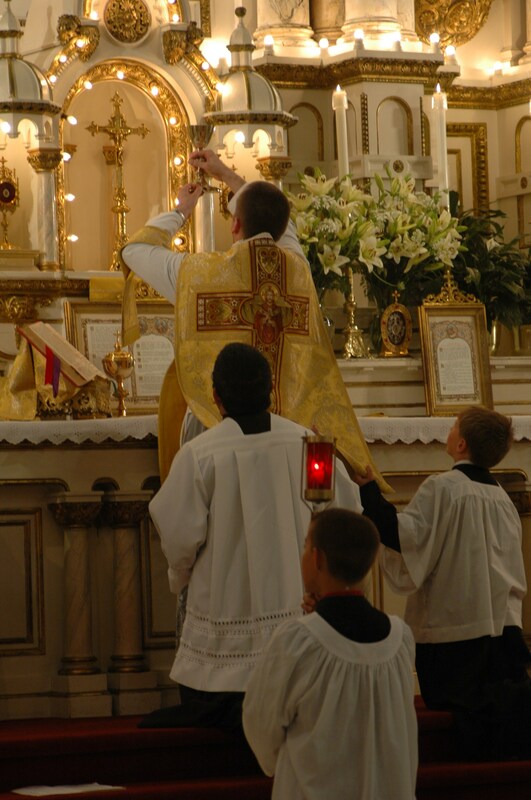 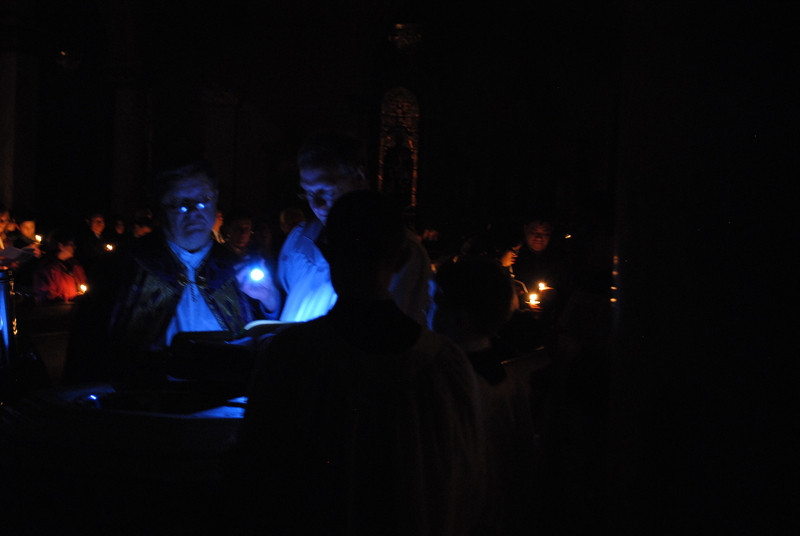 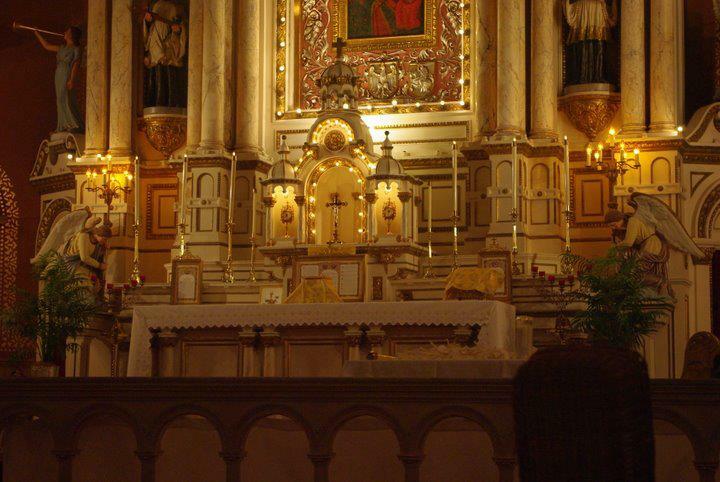 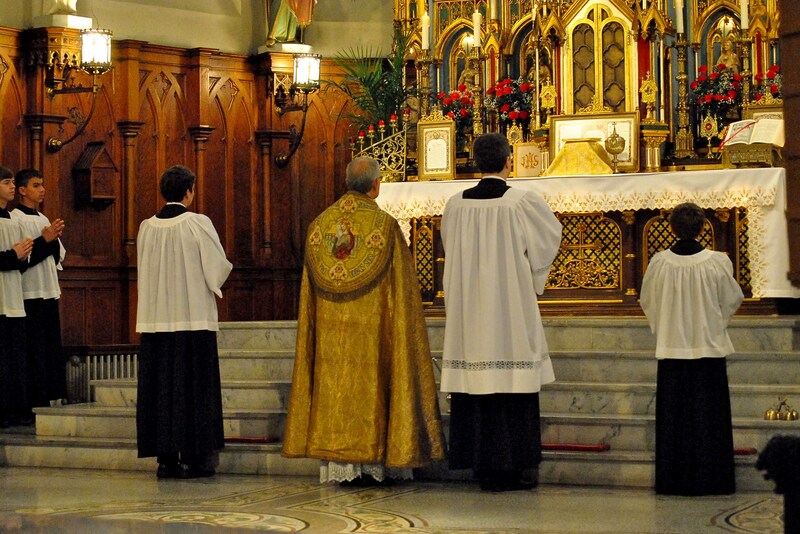 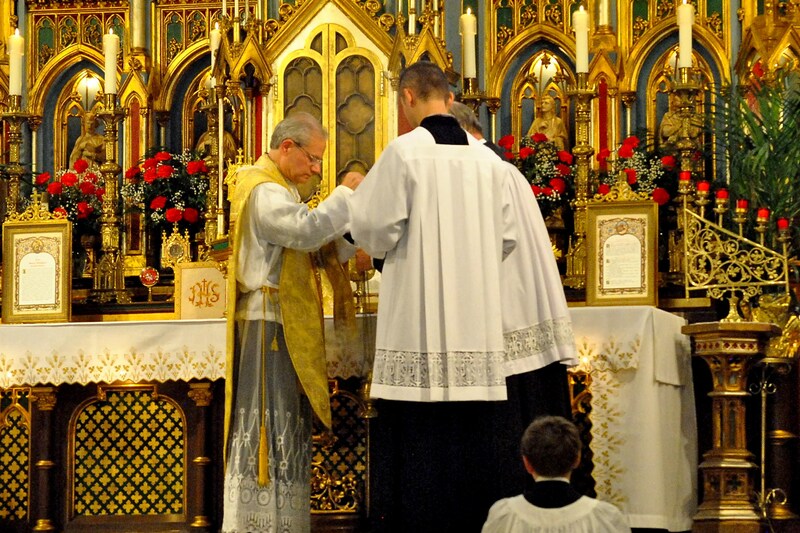 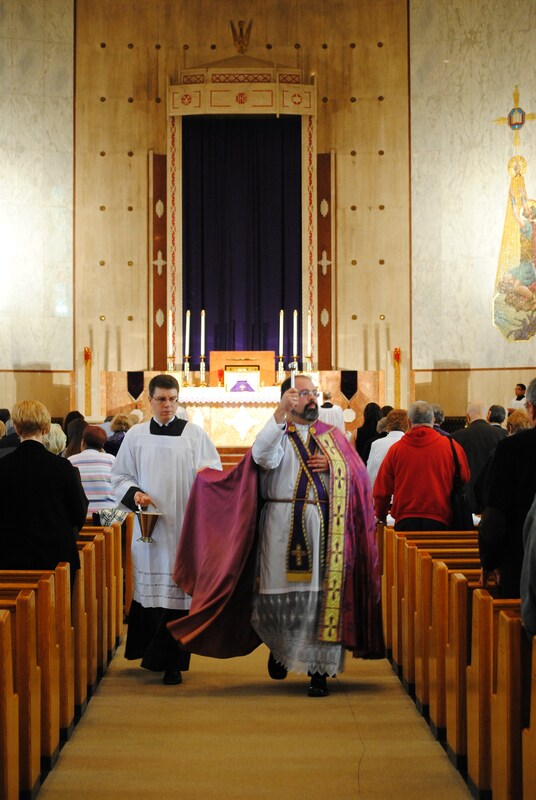 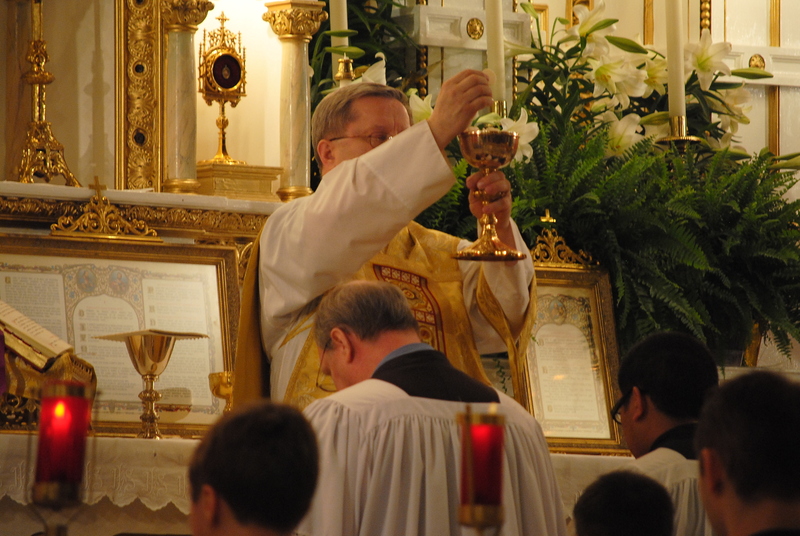 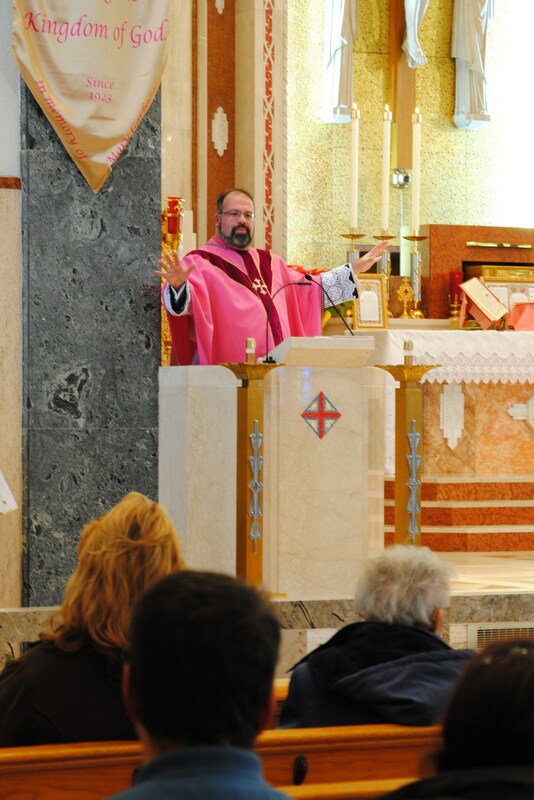 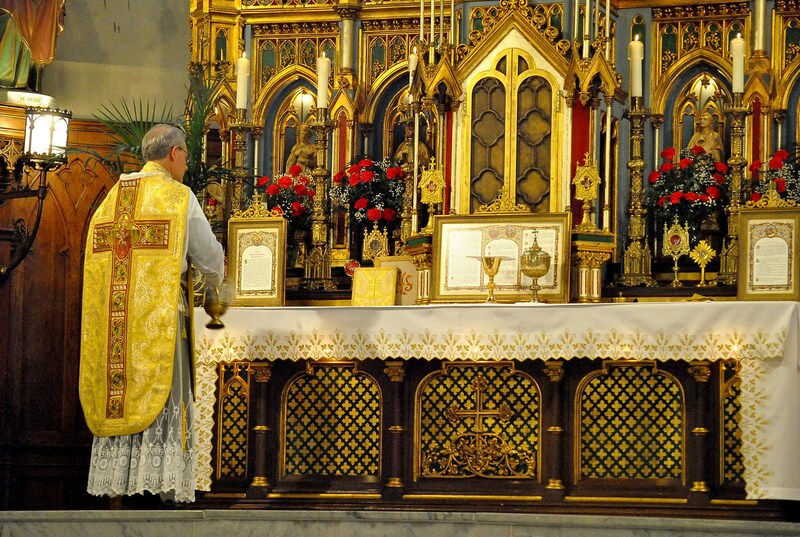 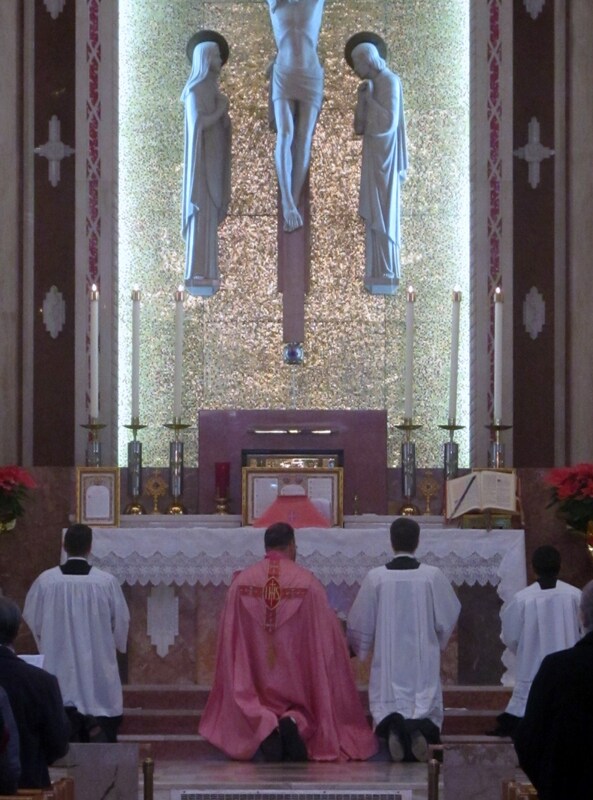 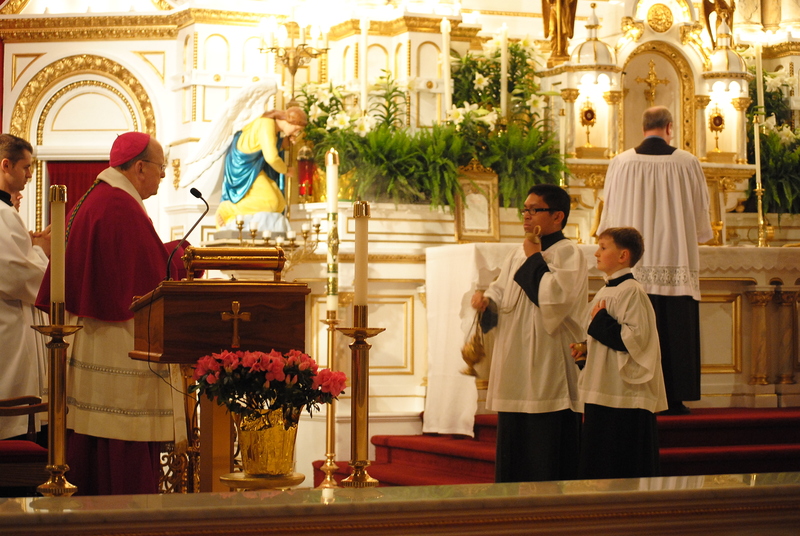 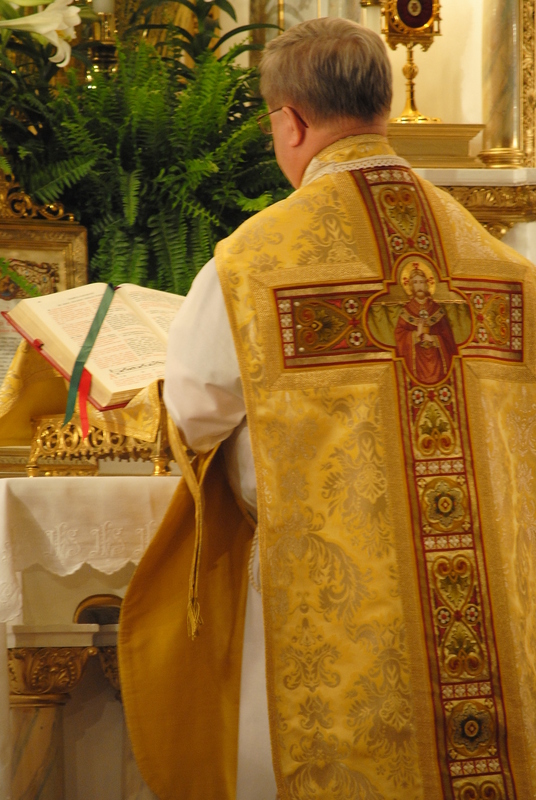 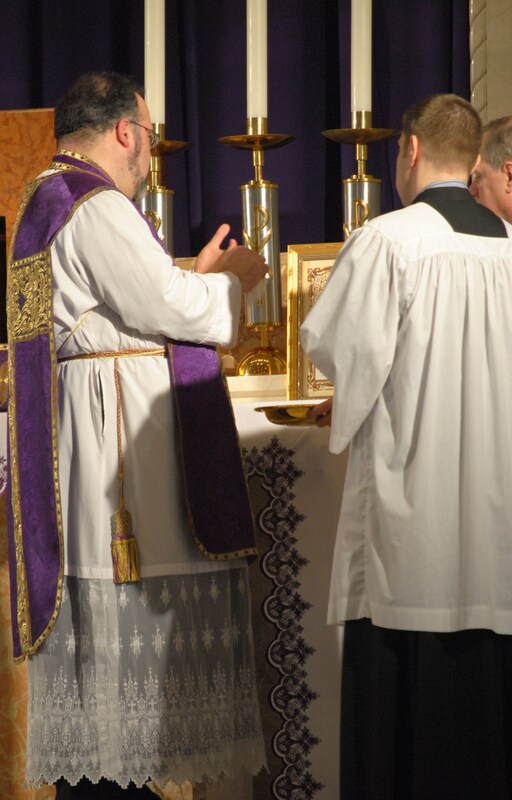 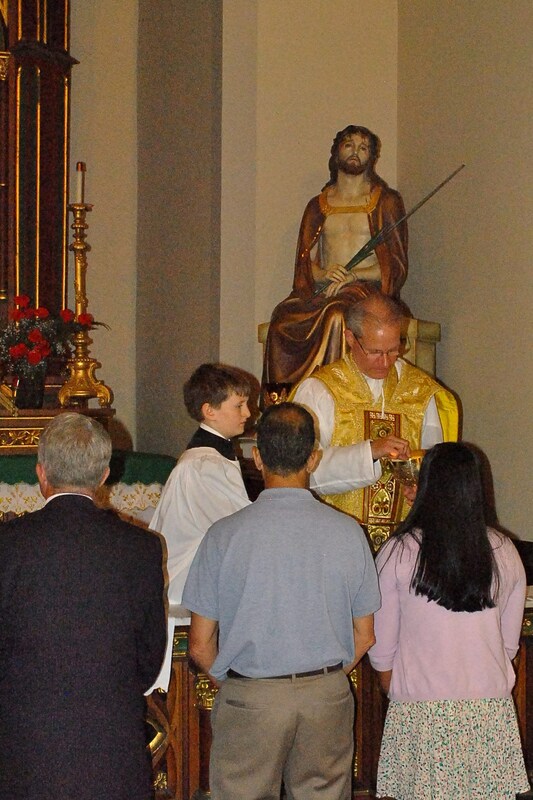 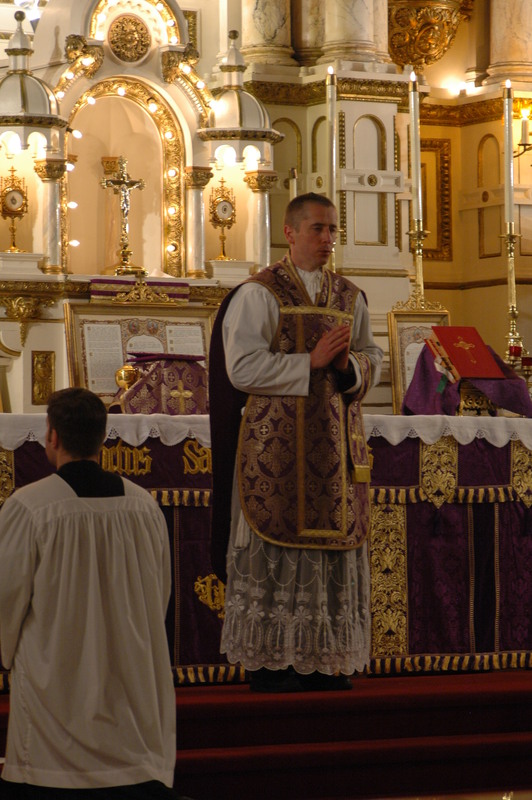 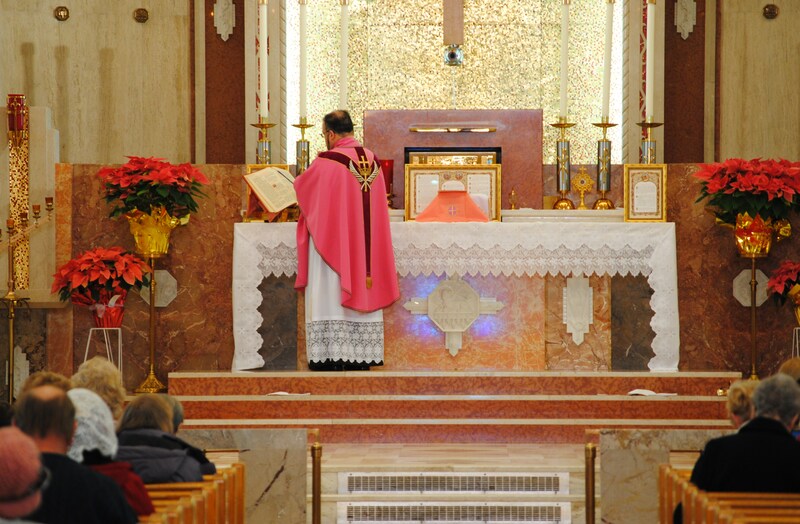 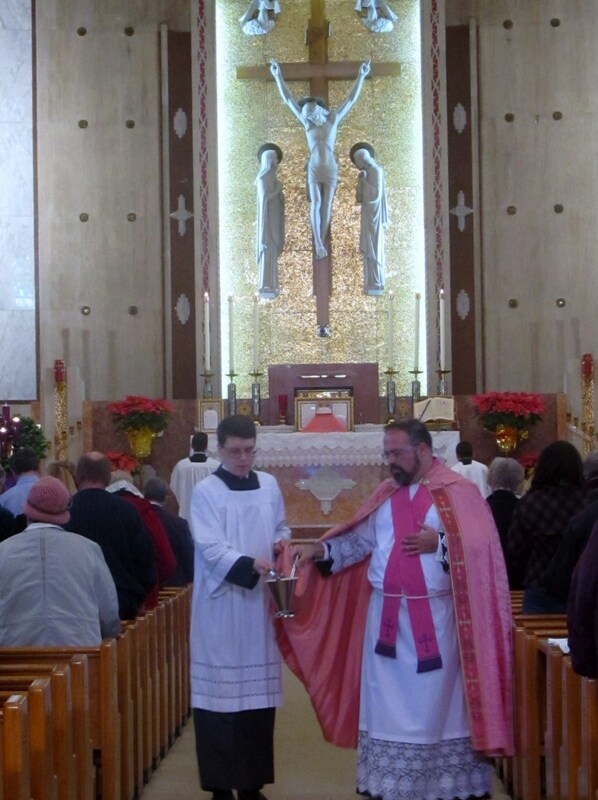 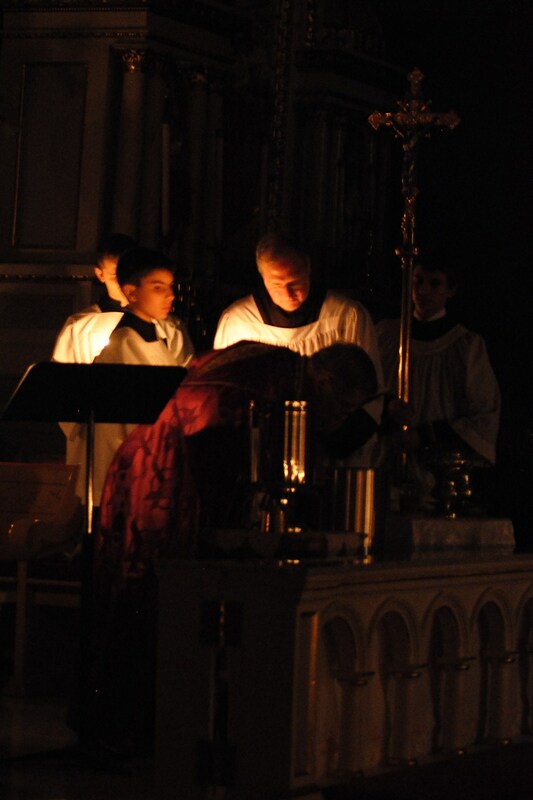 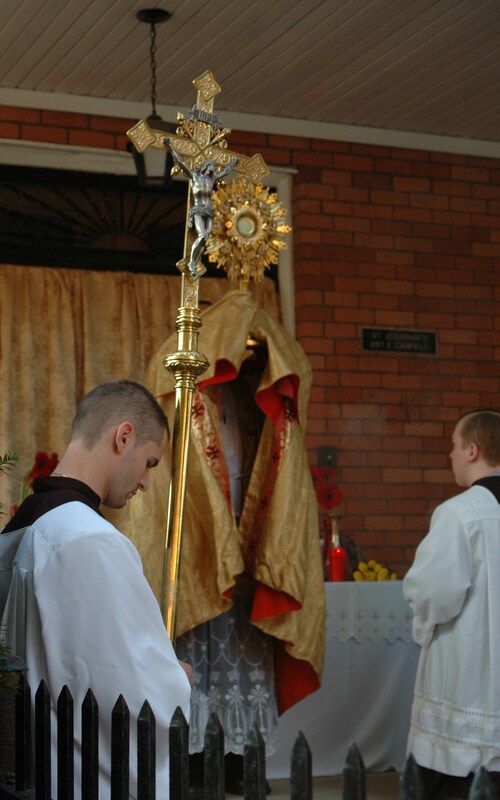 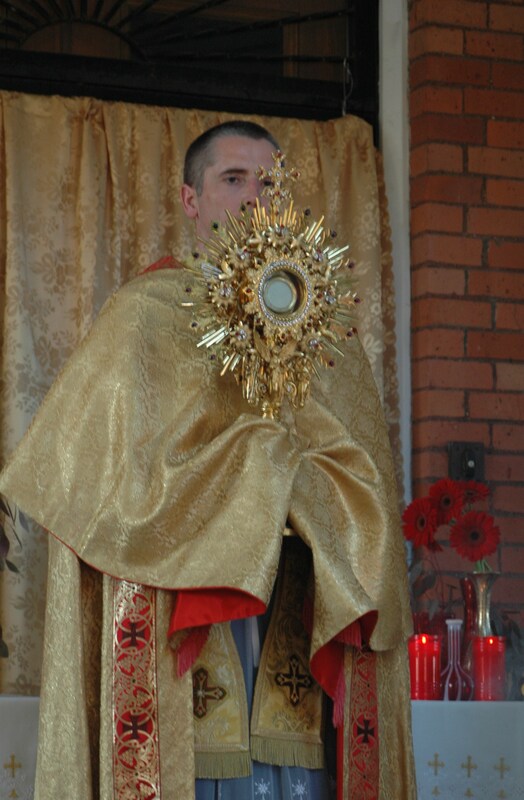 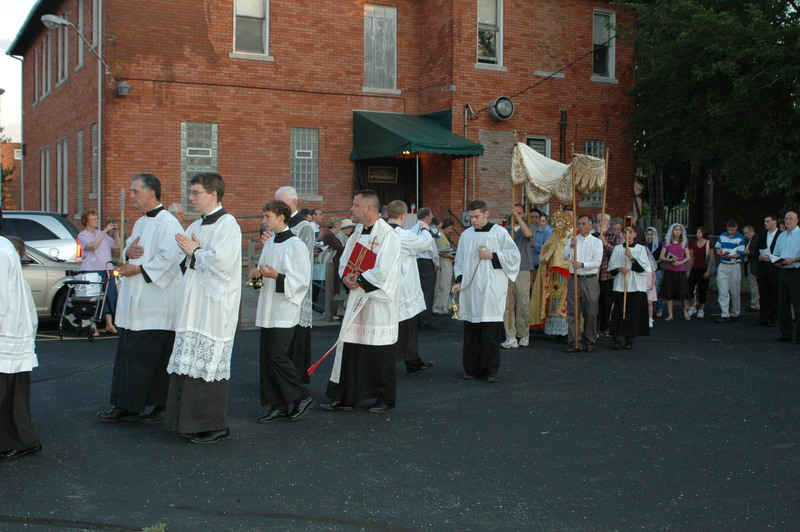 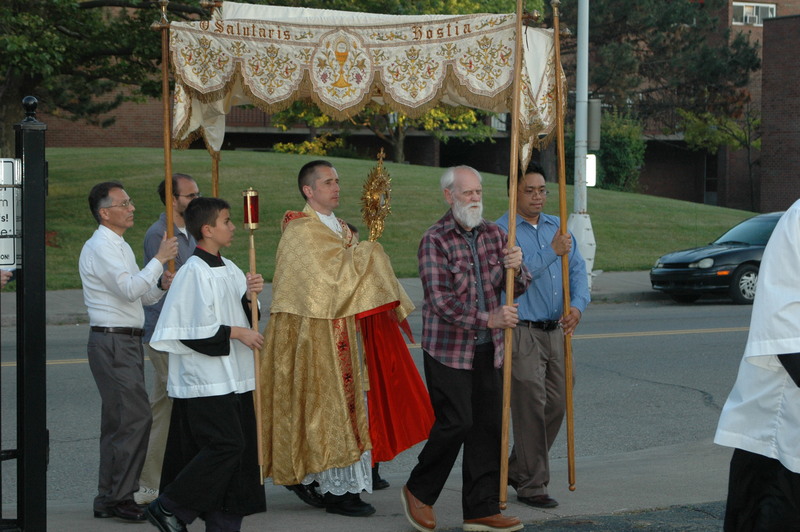 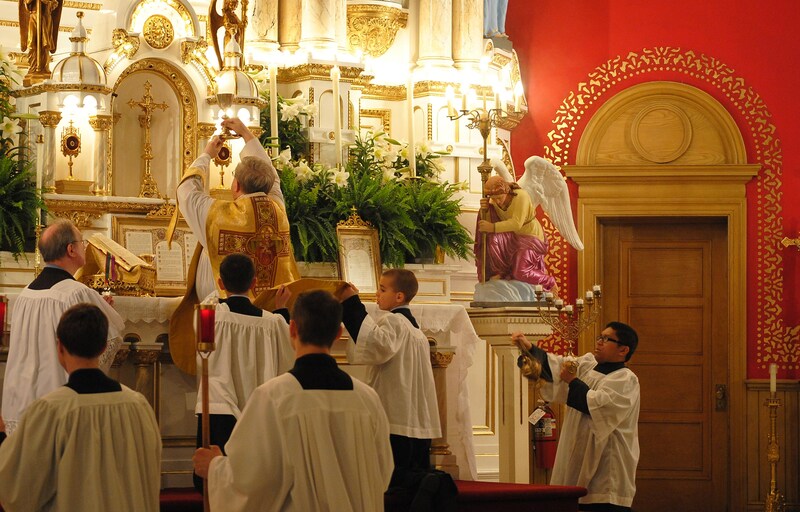 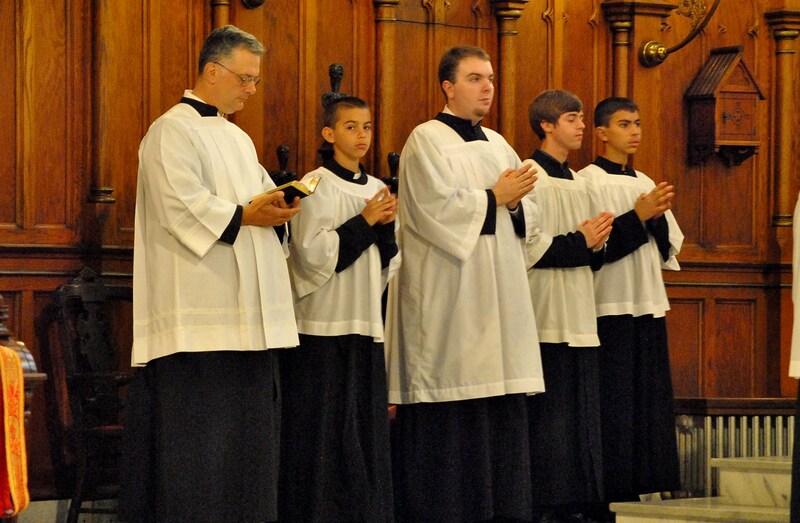 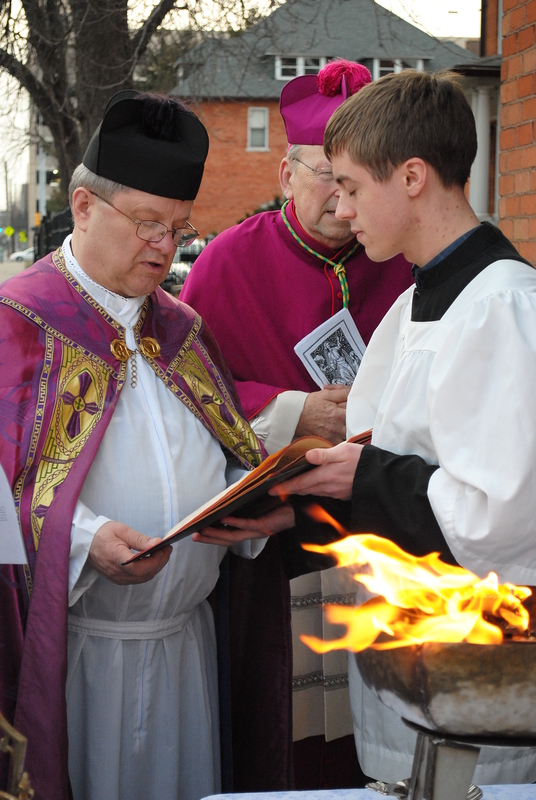 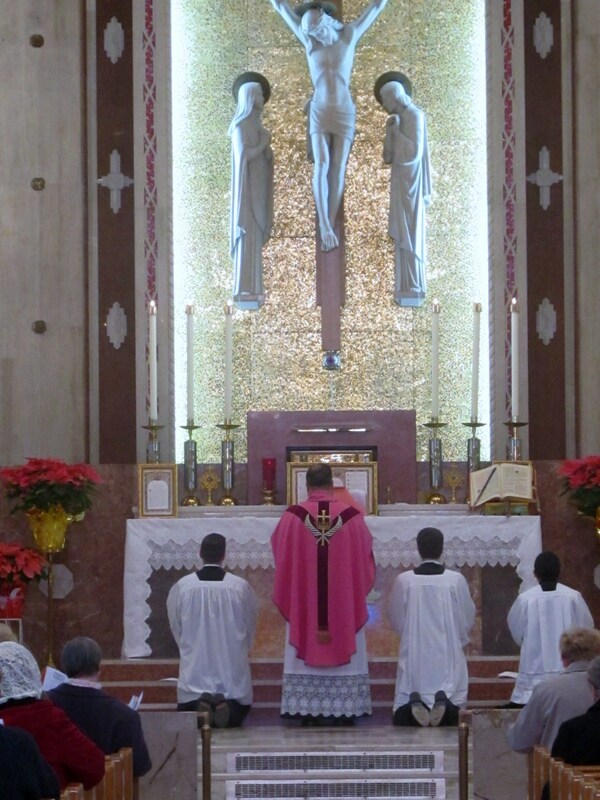 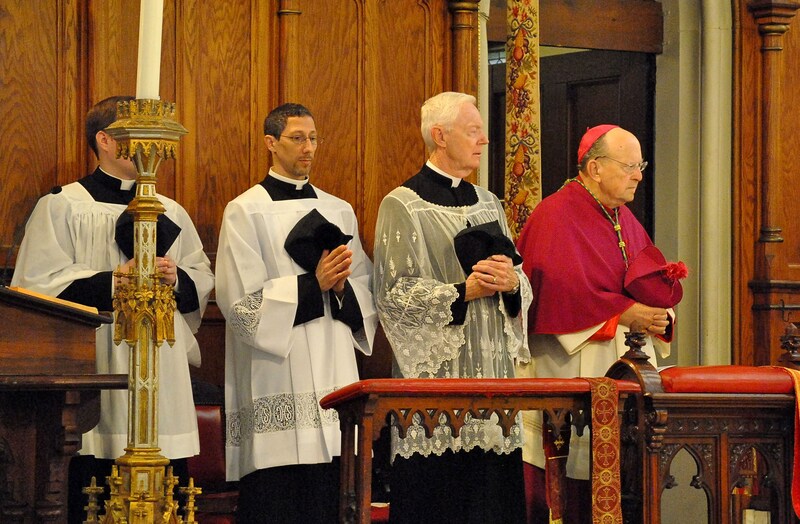 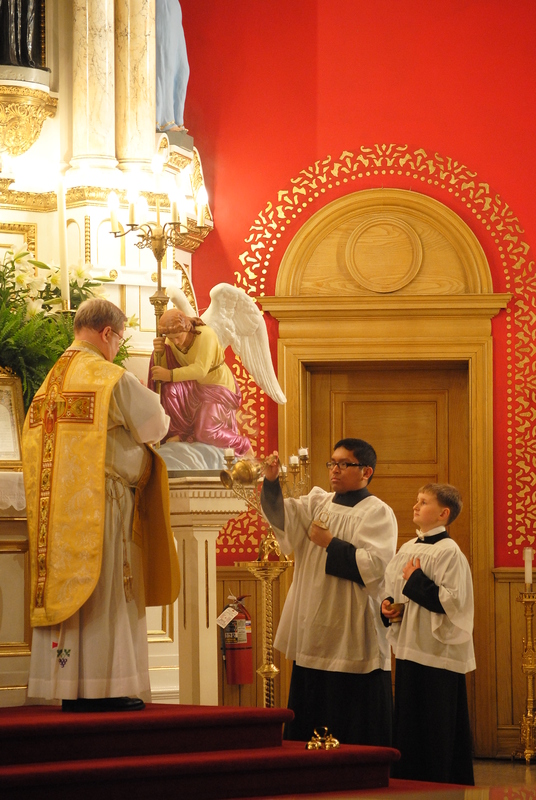 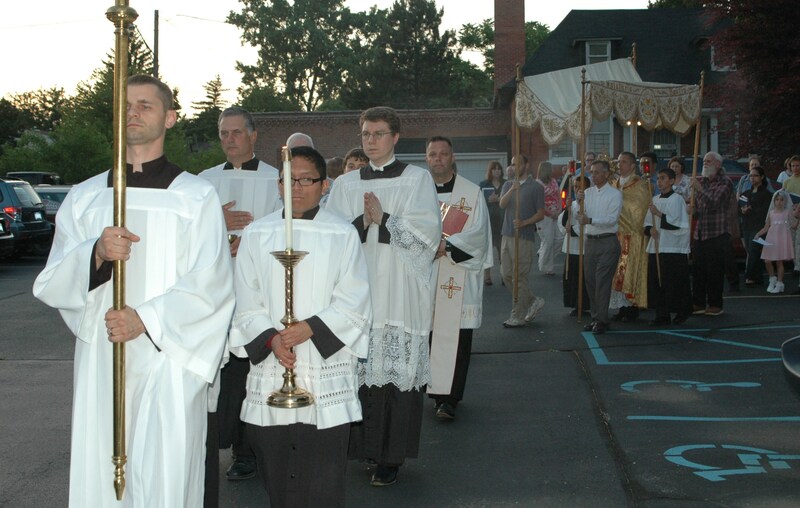 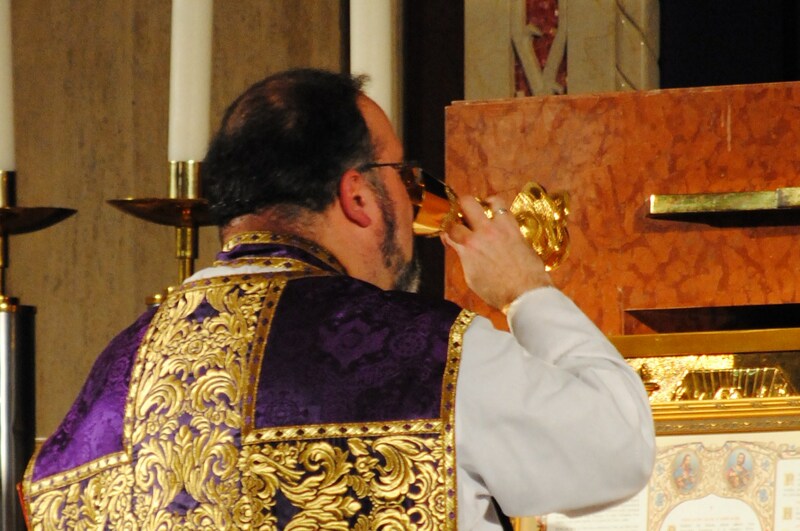 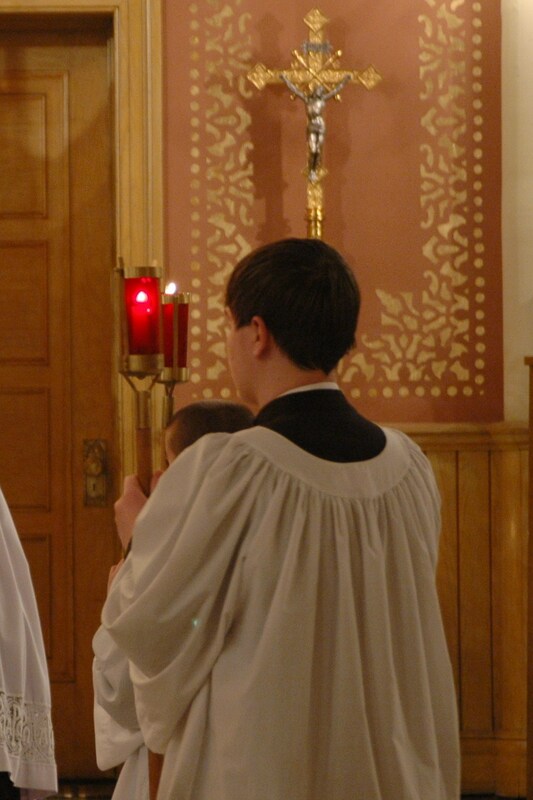 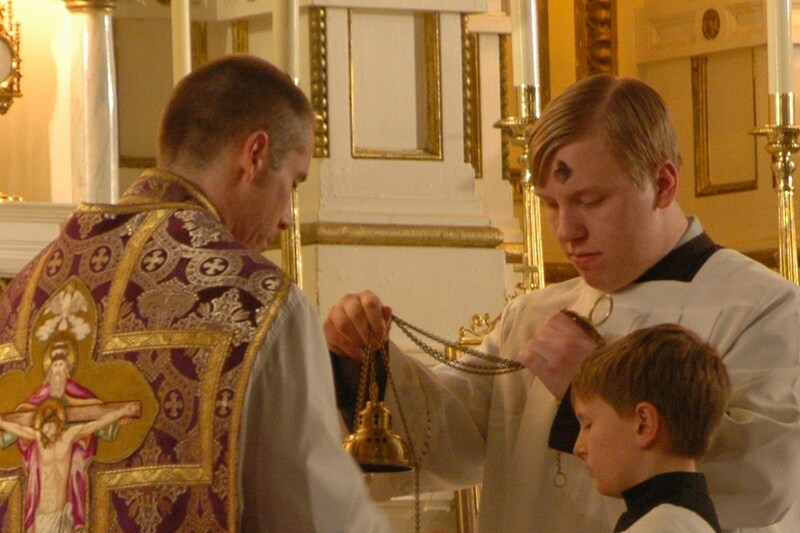 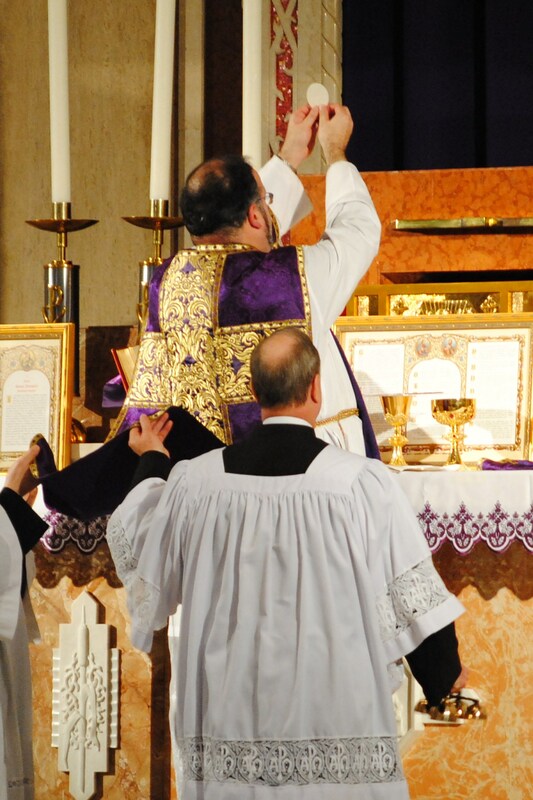 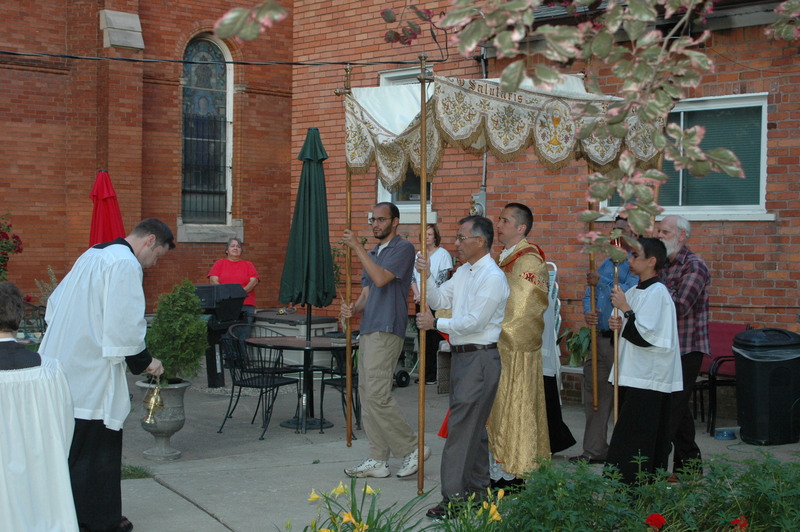 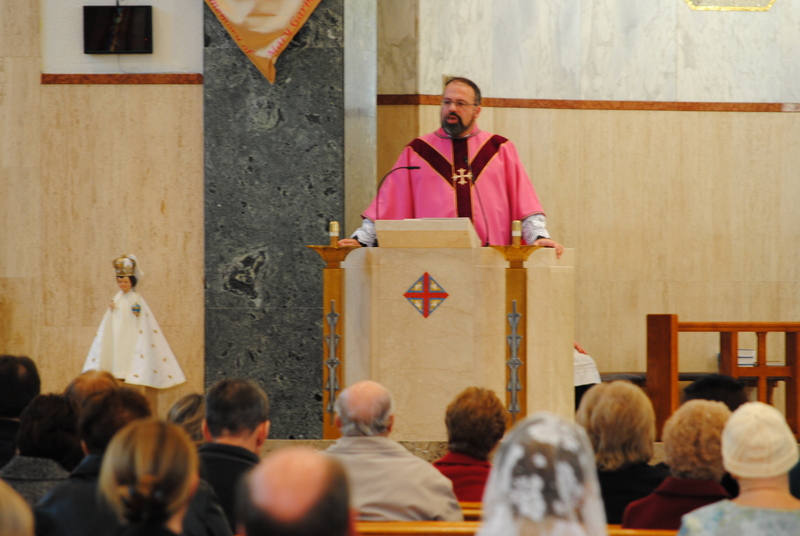 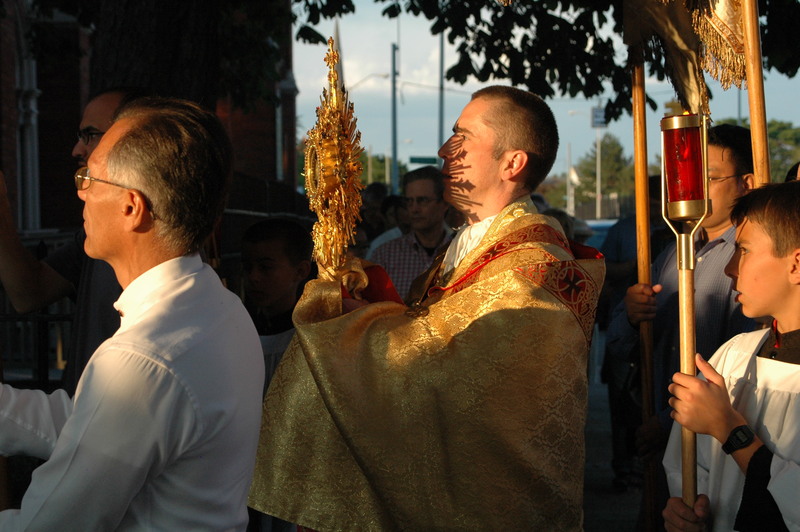 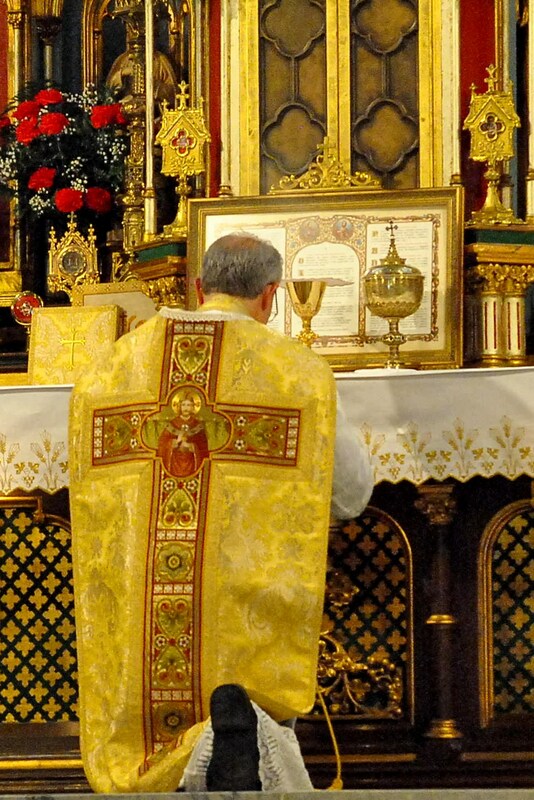 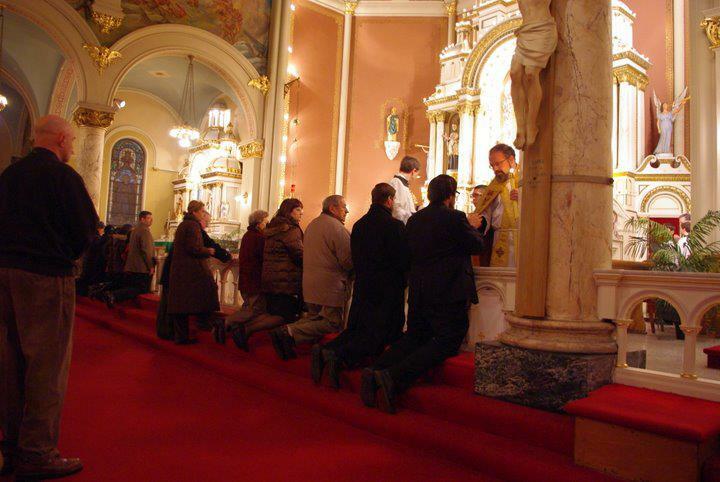 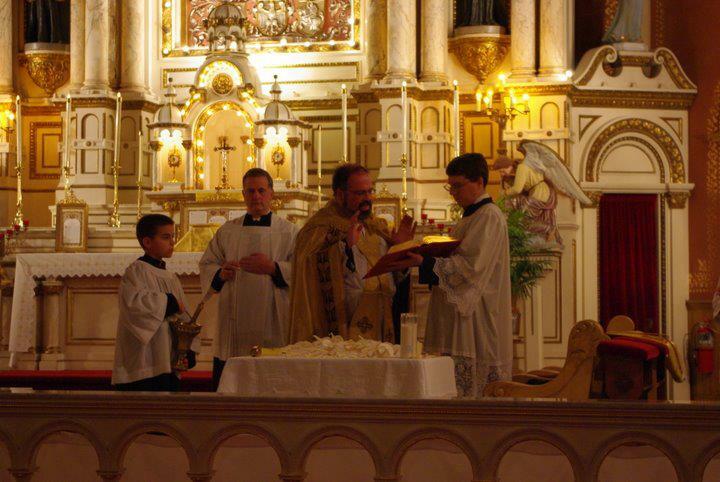 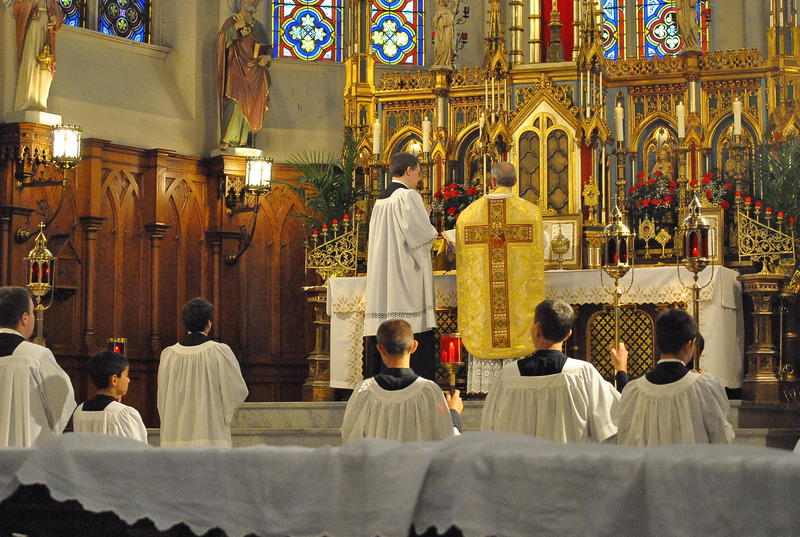 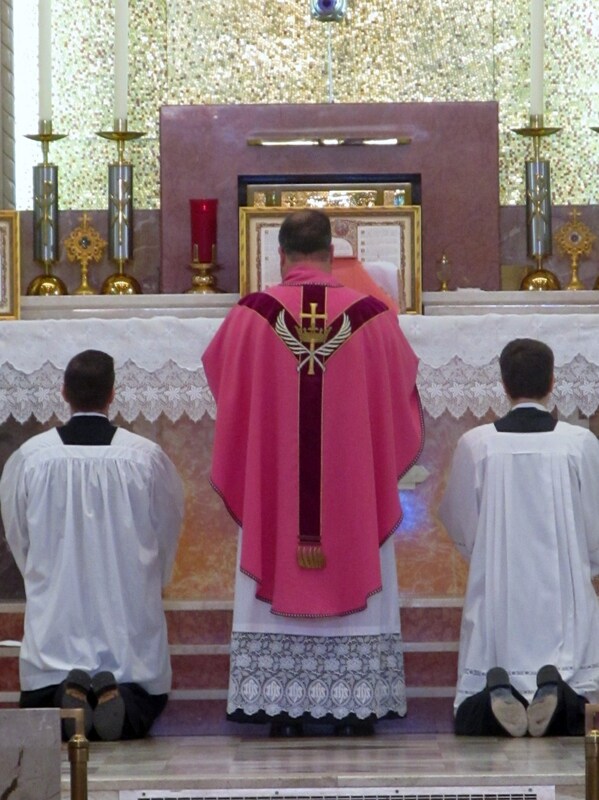 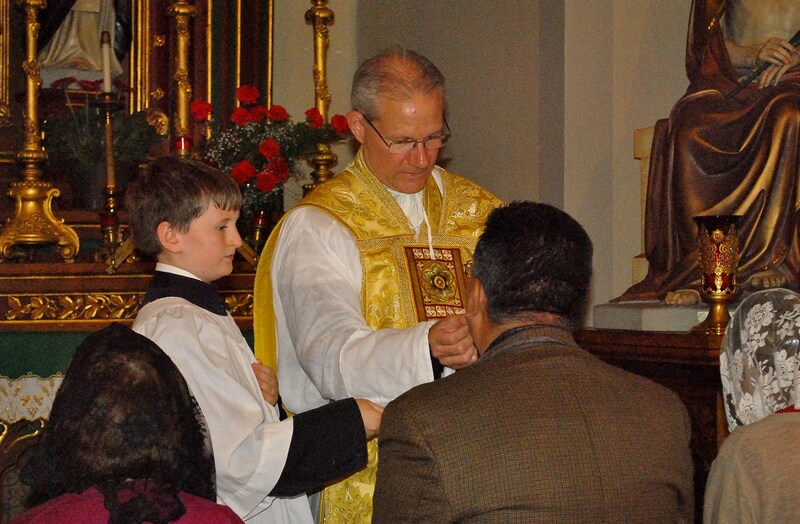 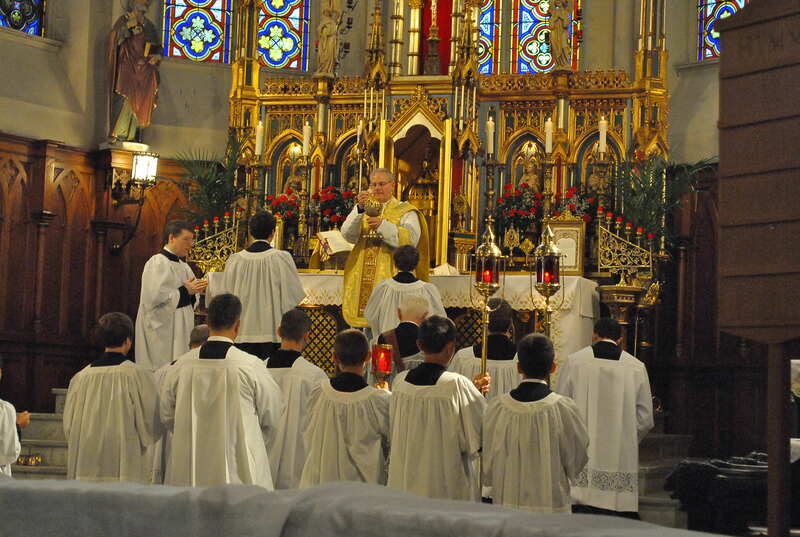 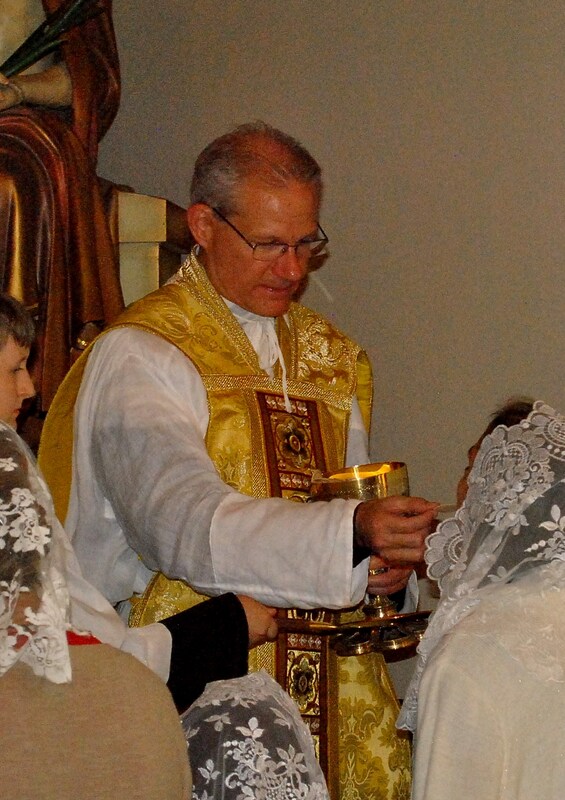 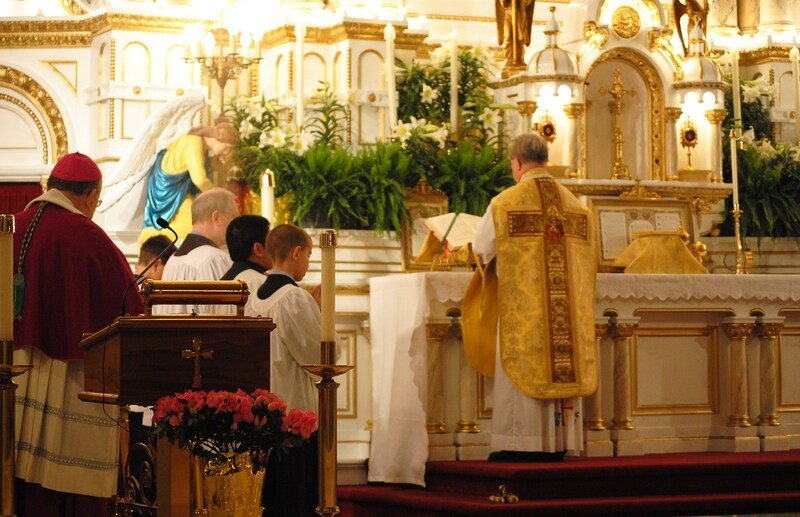 We will be posting a series of photos from the Tridentine Mass at Sts. 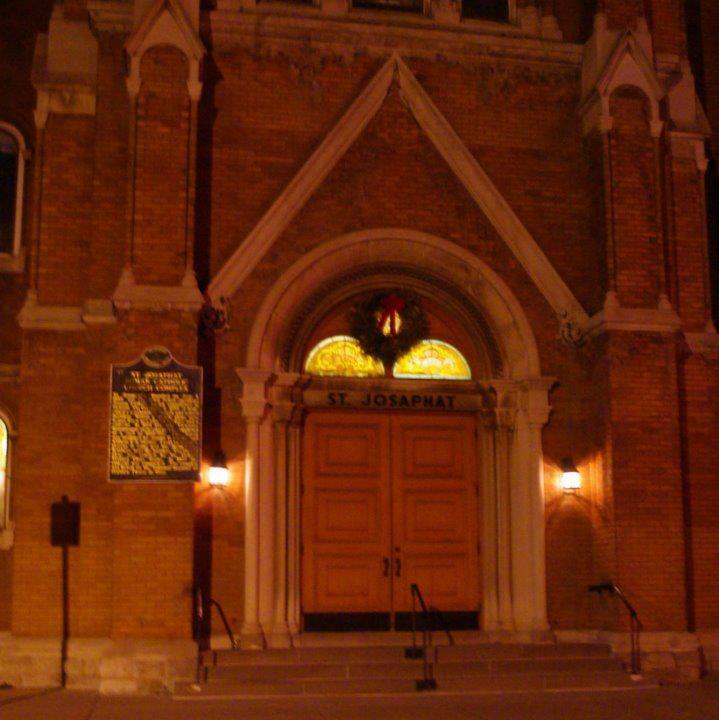 Peter and Paul Church in Detroit (not the Jesuit one). 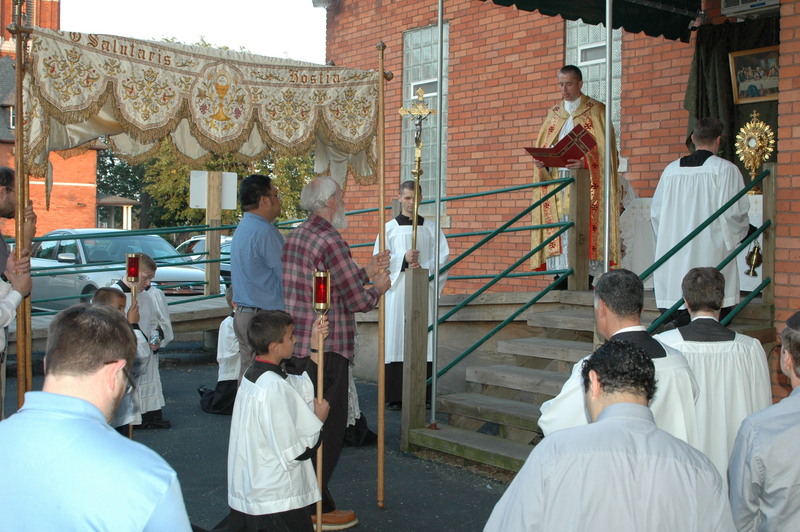 This is the parish where our former pastor Fr. 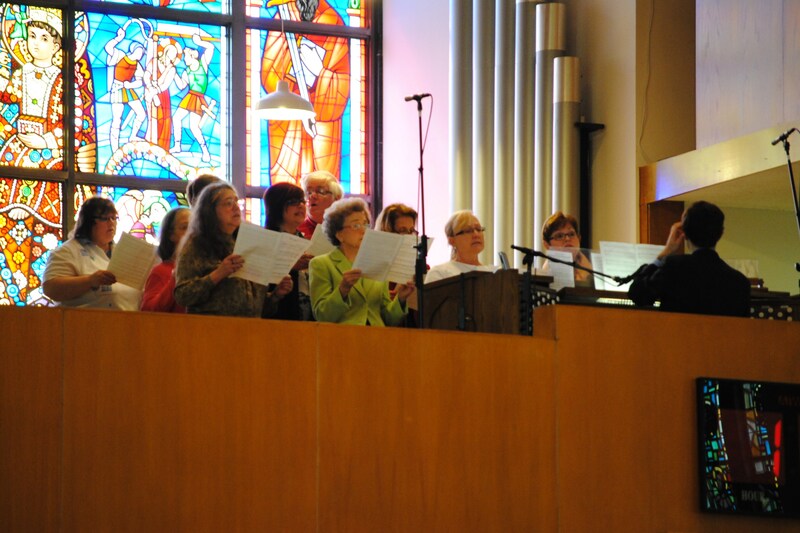 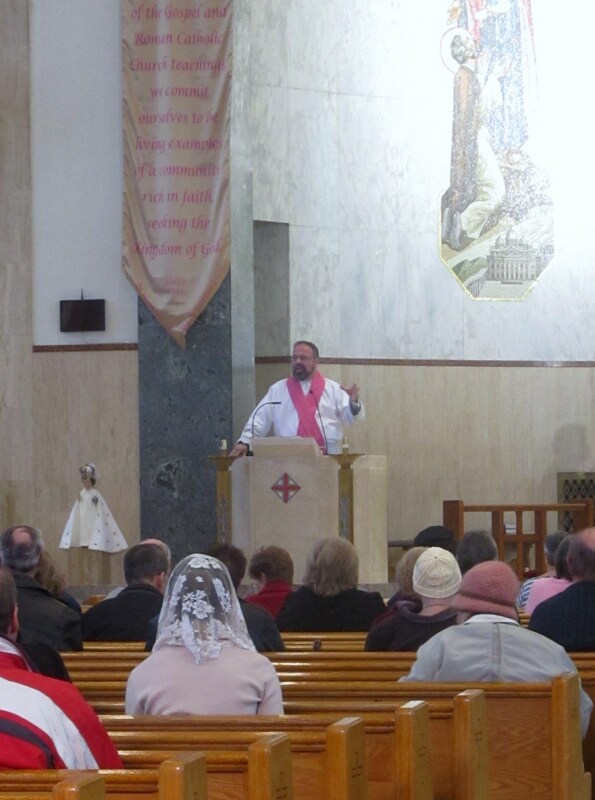 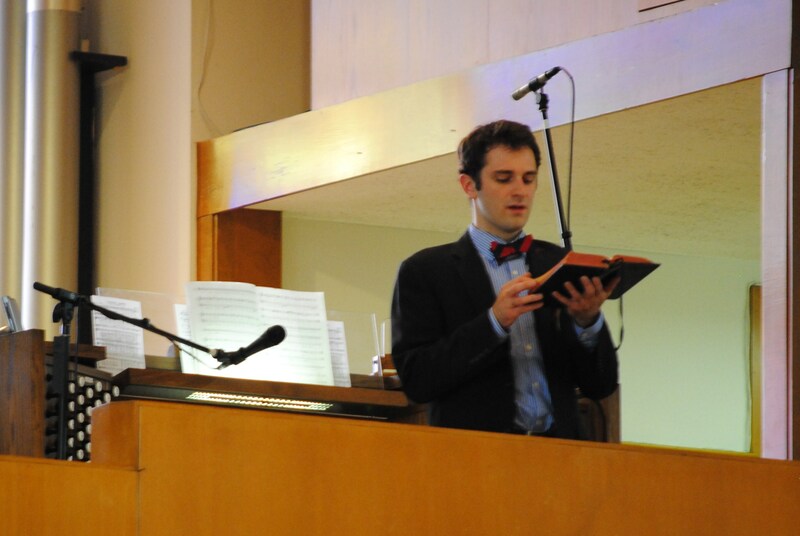 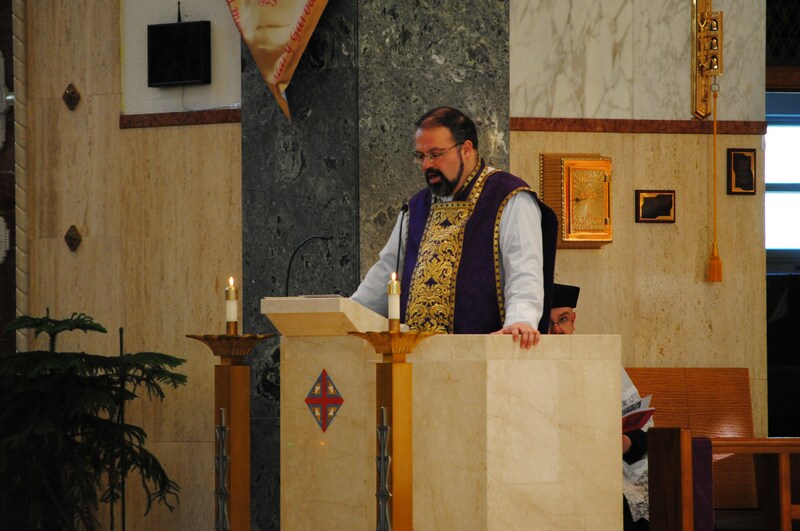 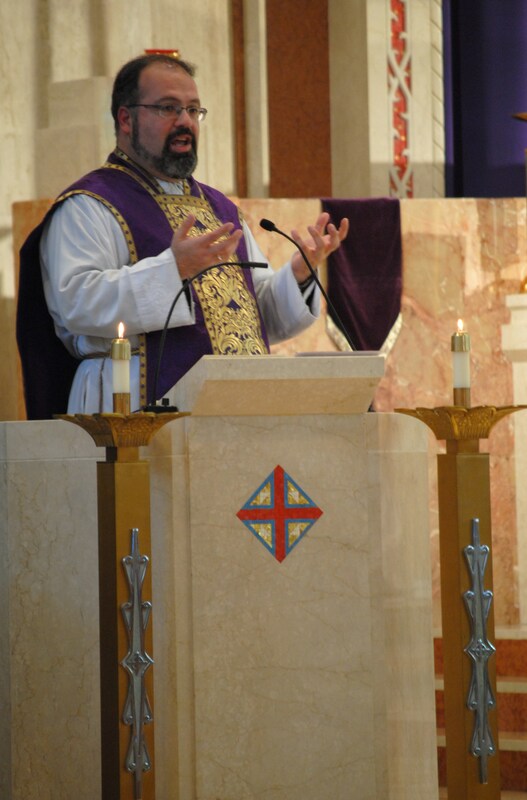 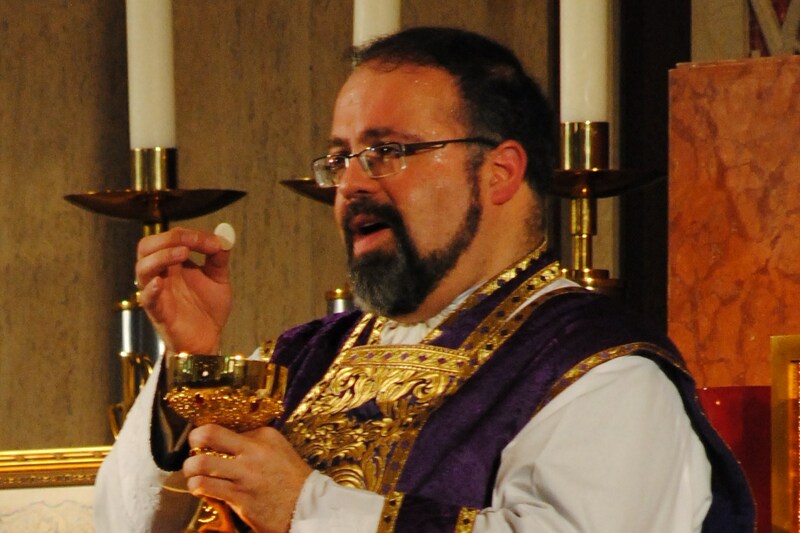 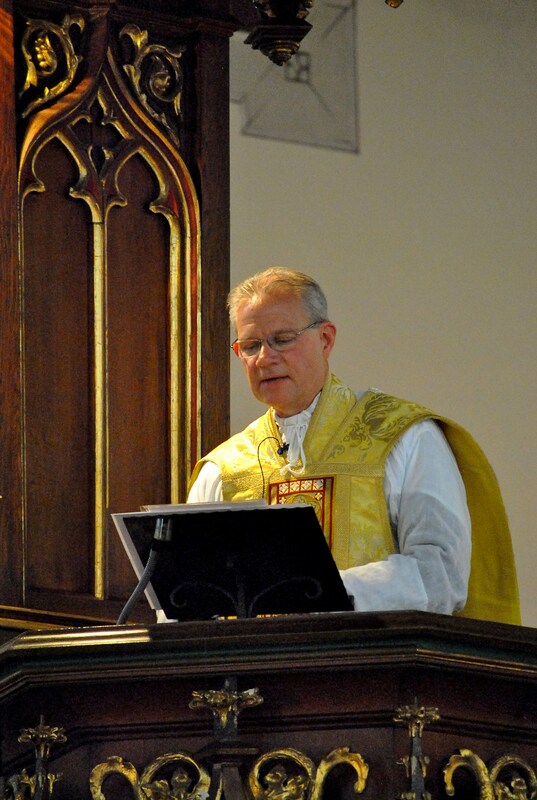 Mark Borkowski currently serves as associate pastor. 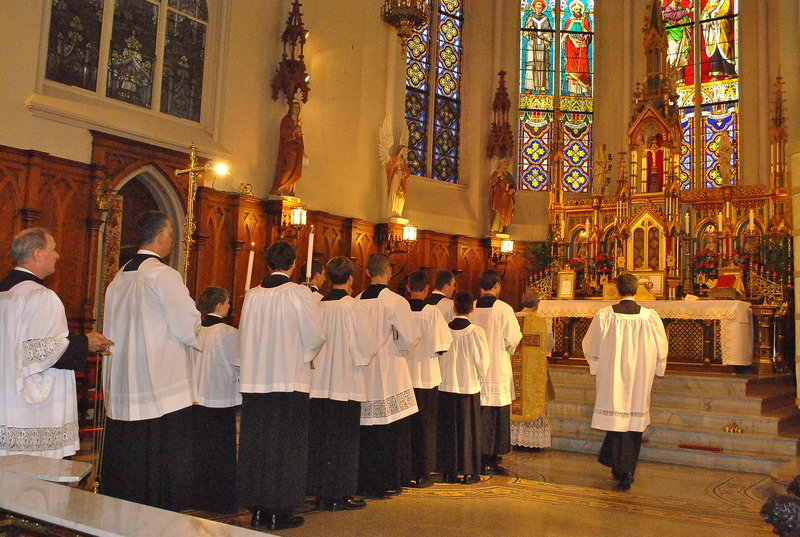 Pre-Mass orientation on the Extraordinary Form.